IN PENNSYLVANIA TO BE RESPONSIBLE FOR THEM. benefit all who enjoy having or visiting these Graceful Swans. are considered Exotic Domestic Poultry – they are Captive Pets. 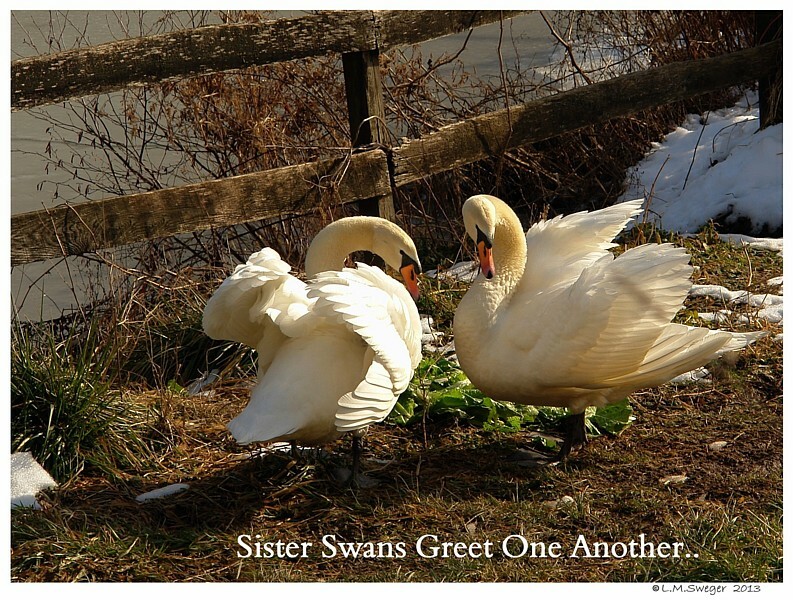 Selling or Breeding Mute Swans in Pennsylvania. 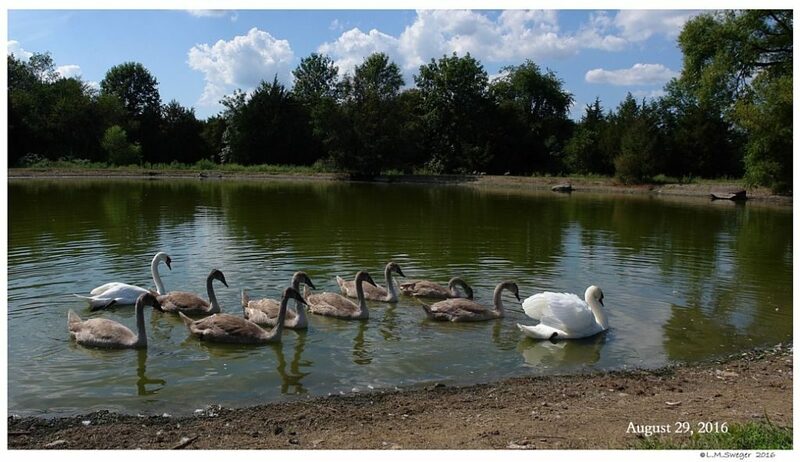 Responsible Care to prevent their Adult Mute Swans or Mute Cygnets from leaving the safety of their Private Property, then a Feral Population will not become troublesome for PAGC WaterFowl Management. 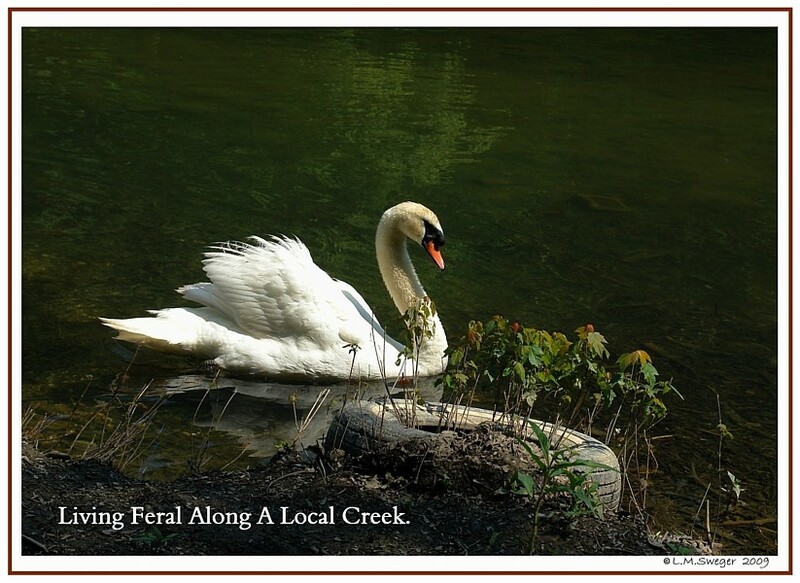 Mute Swan Owners will help prevent the Feral problems experienced by neighboring States. To prevent Mute Swans from leaving Private Property it is important Mute Swans are rendered Incapable of Flight. 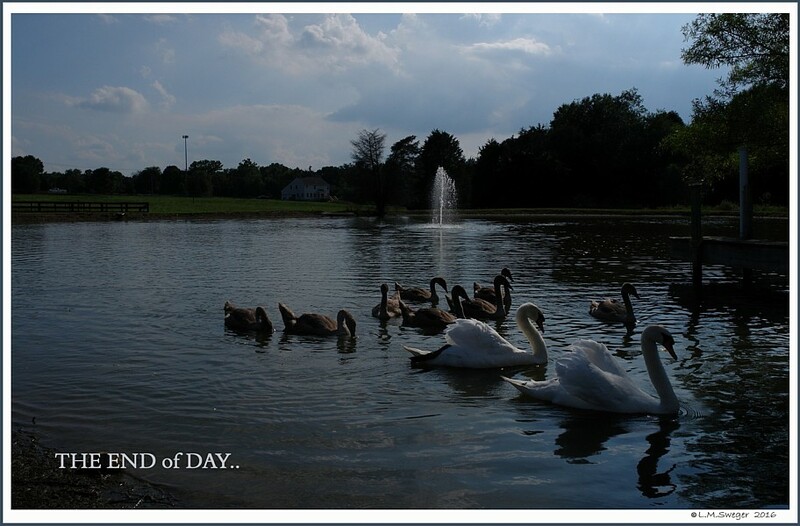 Permanent Way to keep Swans from Flying. 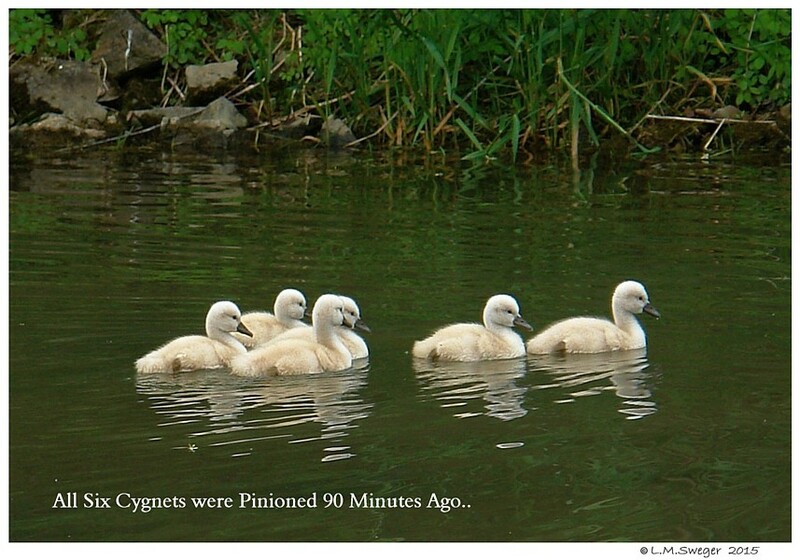 Mute Swan Cygnet Pinioned at 5 Days Old. 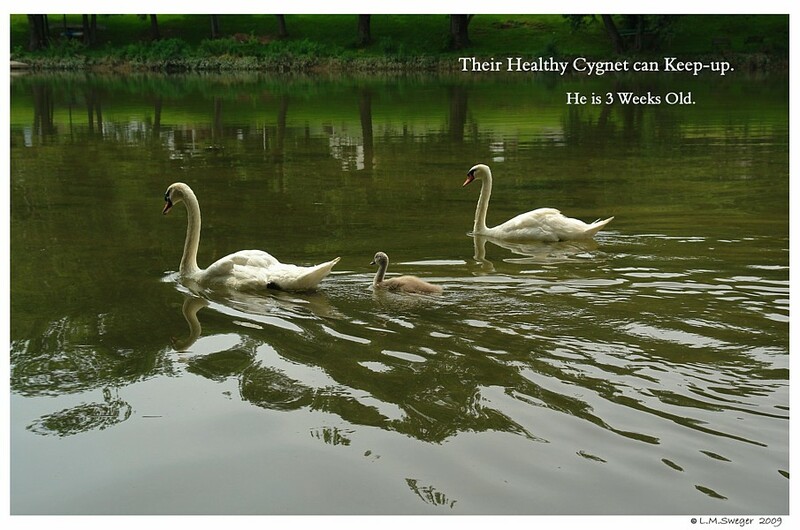 The easiest and least Traumatic time for the Swans to have this Procedure done is during the first 10 days after a Cygnet Hatches. or someone who is knowledgeable of this Procedure. 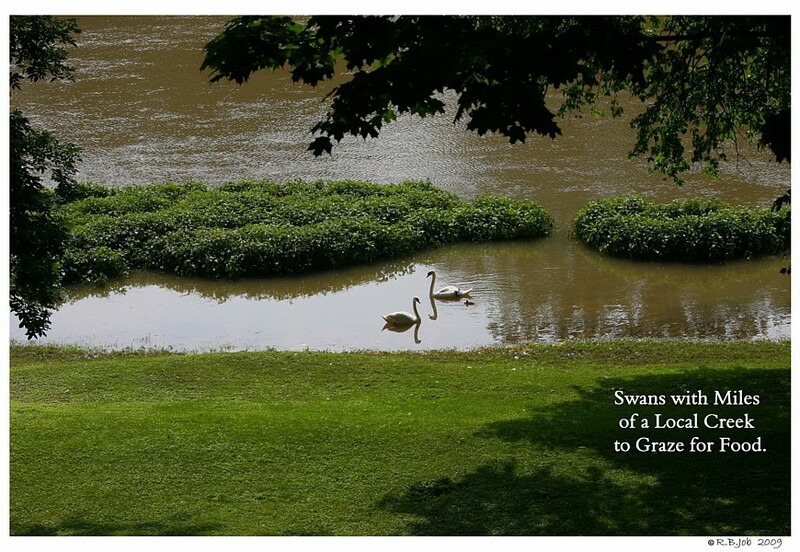 Ground an Unpinioned Swan until their next Moult. 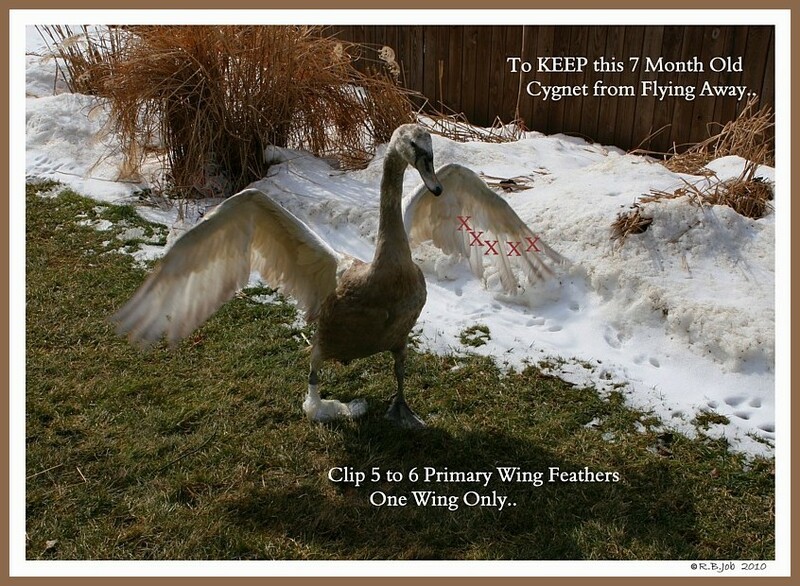 Clipping newly emerged Flight Feathers is risky while they are “Blood Feathers.” It is safer to wait until the Feathers Blood Vessels Atrophies. It is easy to put off Clipping just a little too long. 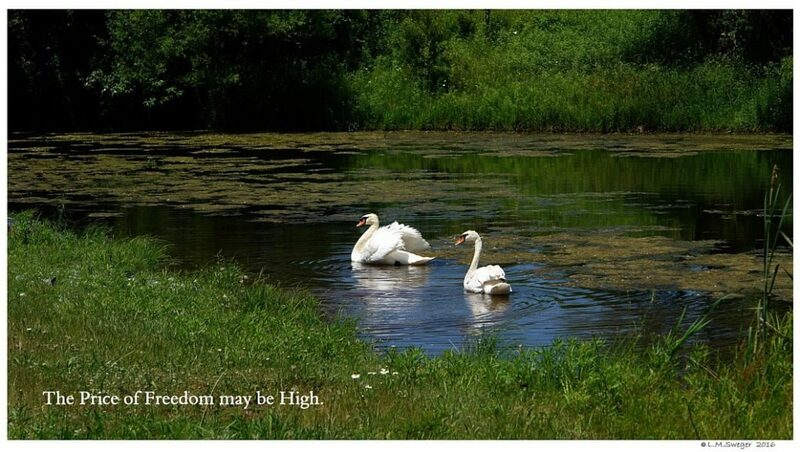 Your Swan may simply fly off never to return. 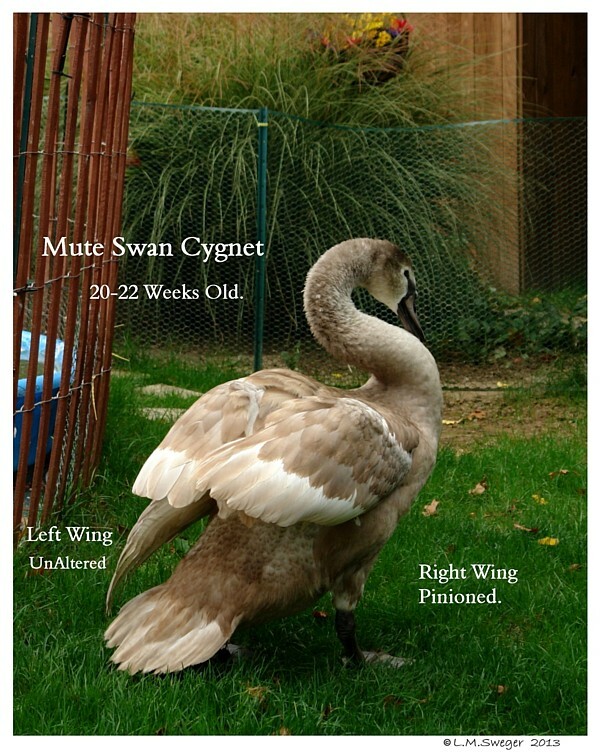 Mute Swan is the Responsibility of the Current Owner. 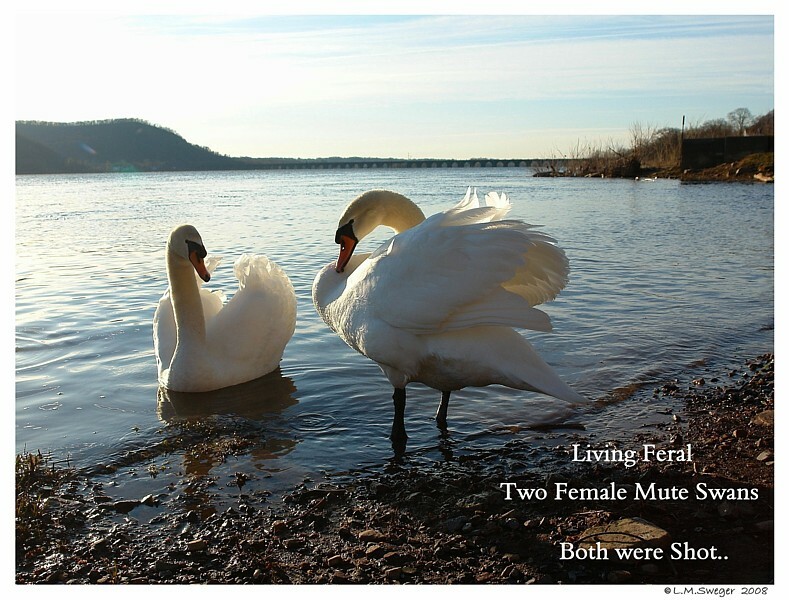 No Mature Mute Swan or Mute Cygnet should be release to Public Lands or Public Waterways to live in the Wild as Feral Swans. 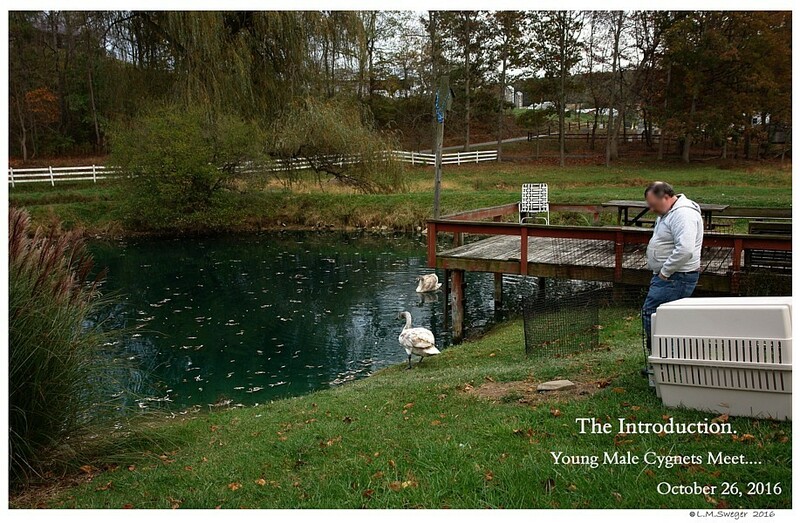 This Young Swan was LUCKY… He has been Rescued by Kind Folks. 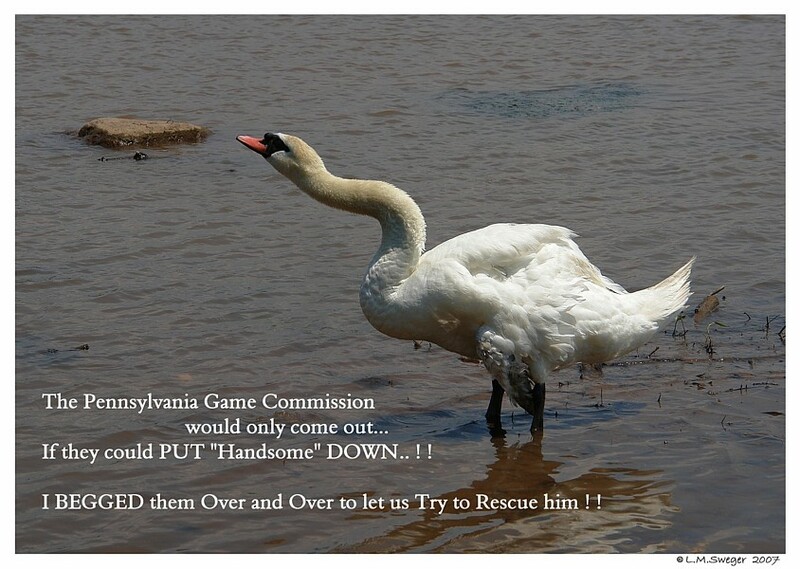 In Pennsylvania Feral Mute Swans will be Remove from Public Lands and Waterway by Hunters. 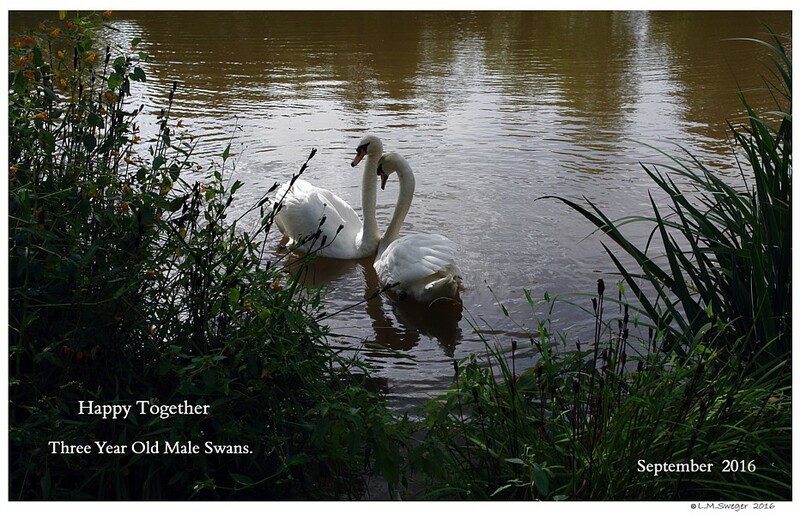 We Tried Over and Over to Catch is Mute Swan – NO Luck. If they Leave Your Property. 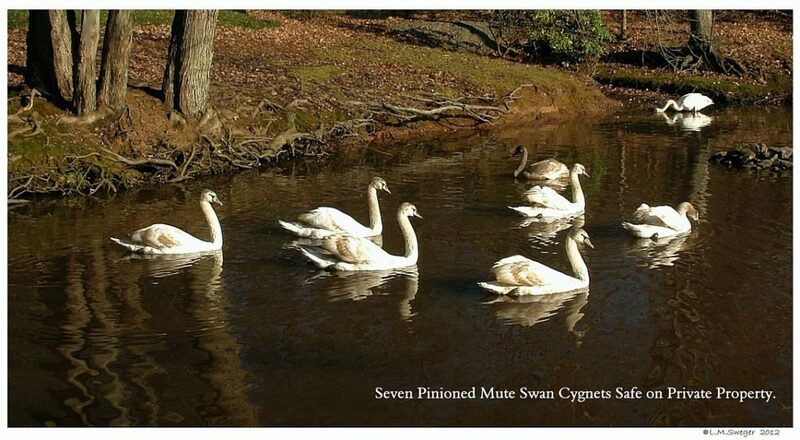 As more and more States are restricting Ownership, requiring Permits or simply Prohibiting Mute Swans in their States, finding new homes for Mute Cygnets is becoming a challenge..
Pinioned Mute Swans are much easier to rehome. Eggs to prevent them from hatching, will reduce the need to find New Homes for the first year Cygnets – 8 to 10 months old. It is important to learn to do this properly. 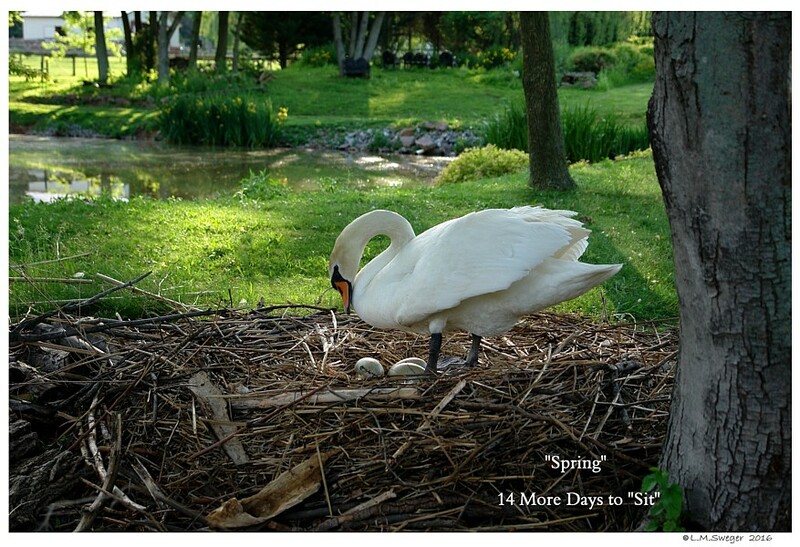 Allow the Female Mute Swan to “Sit” on her (Spoiled) Eggs for a Total of 42 Days, then remove them. The 42 Days started when the Pen starts to “Sit” Full Time. 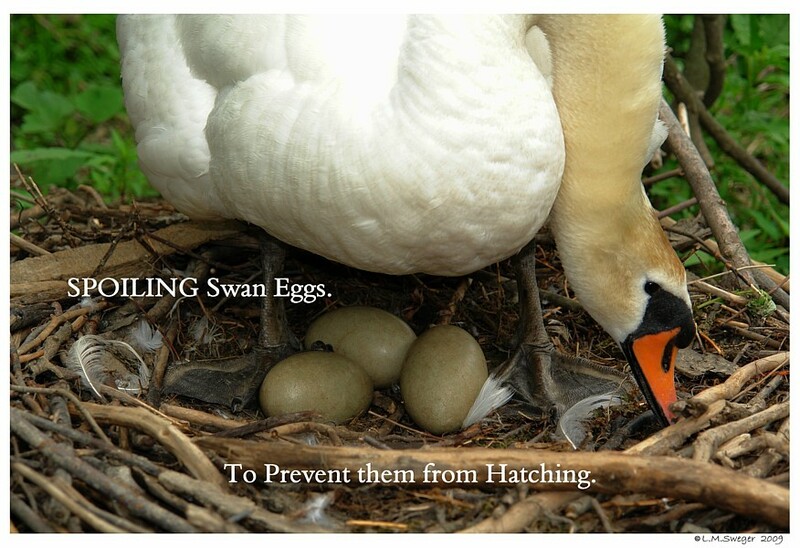 If you Take the Eggs away too soon, the Female will Recycle and lay another Clutch of Eggs. 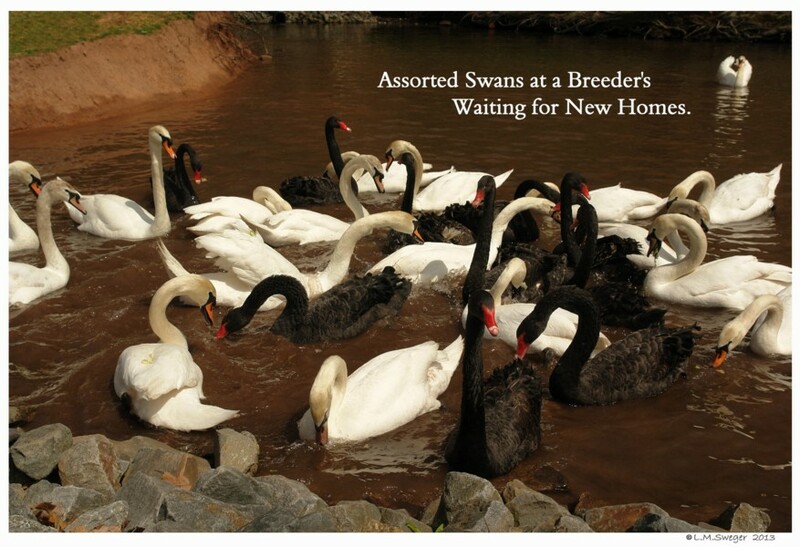 Instead of having a Breeding Pair, consider same Gender Swans. Two Females are good Company for each other. 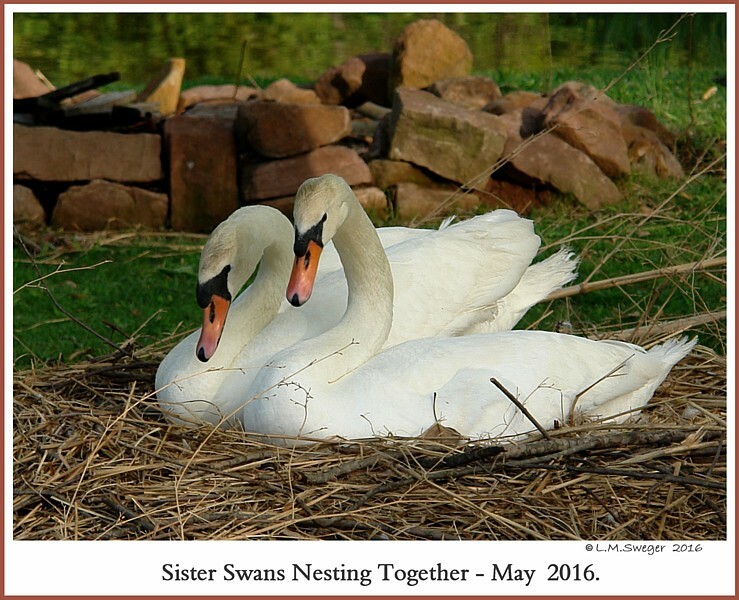 Female Pairings will need to “Sit”on their Nests of unfertile Eggs for 42 Days and then be taken off the Eggs. 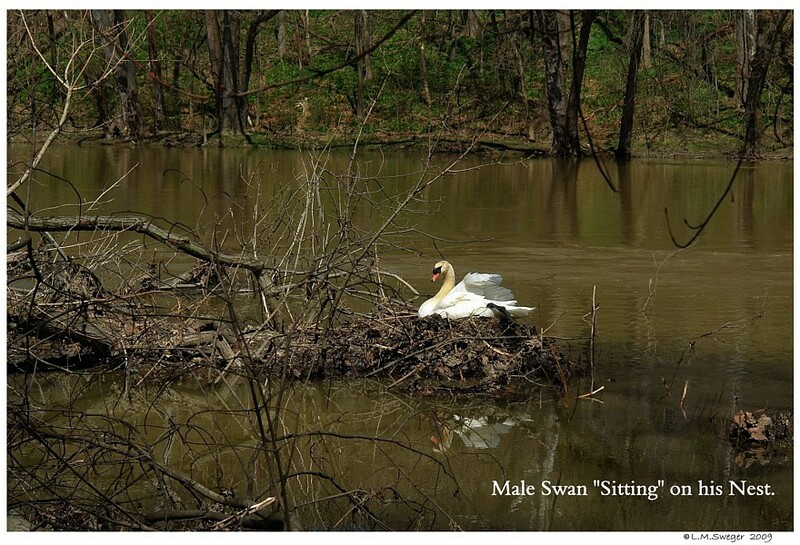 Vulnerable during the Time they “Sit” on their Nests. 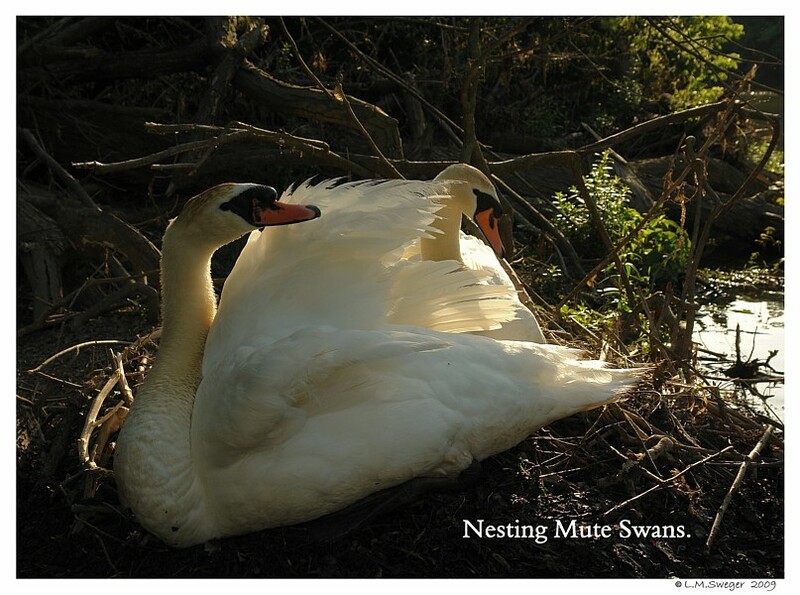 Two Nest Mate Males will often live peacefully together. 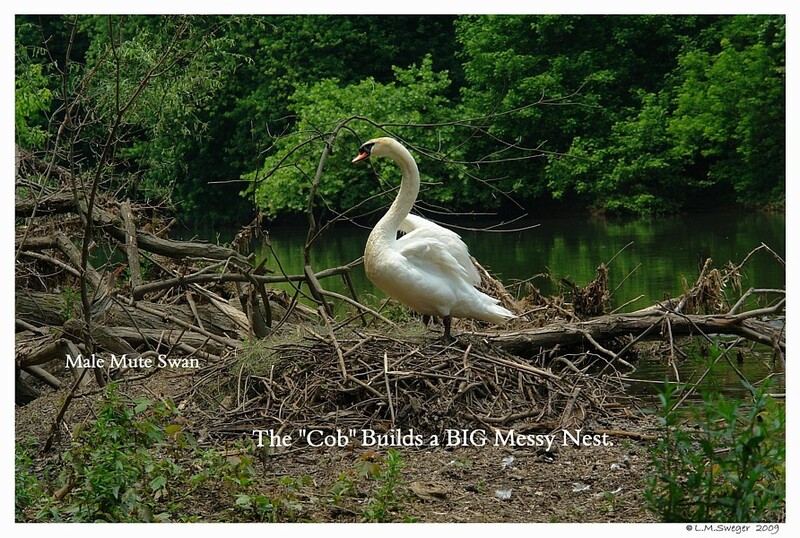 They will build and sit on a Nest, NO Eggs to Spoil…or Protect. 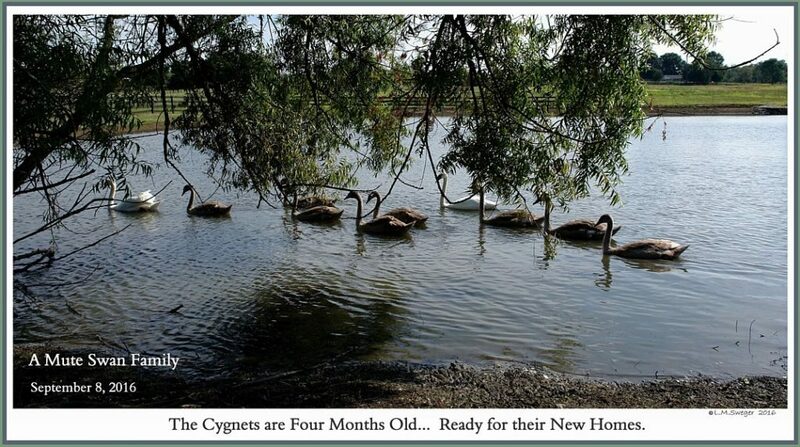 Not Grounding Cygnets can have Tragic Results. 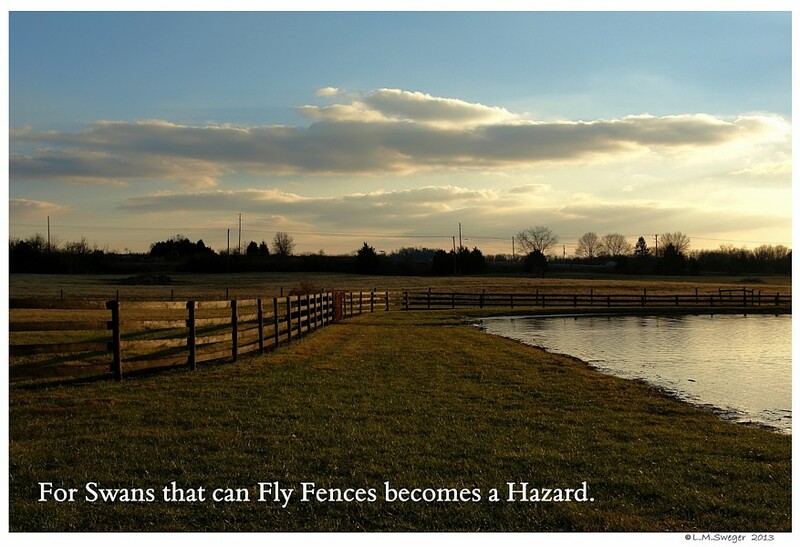 Swans can also become severely injured Flying into Fences. Rehabber’s license. 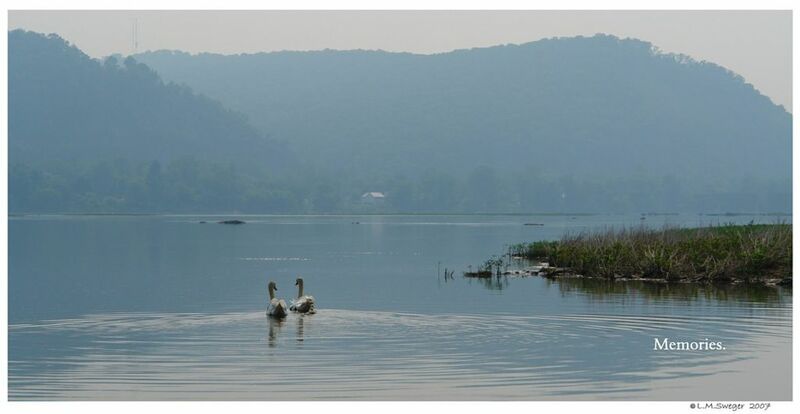 The PA Licensed Rehabber may not release Mute Swans to the Wild.. A few will try to Find Private Property Homes. 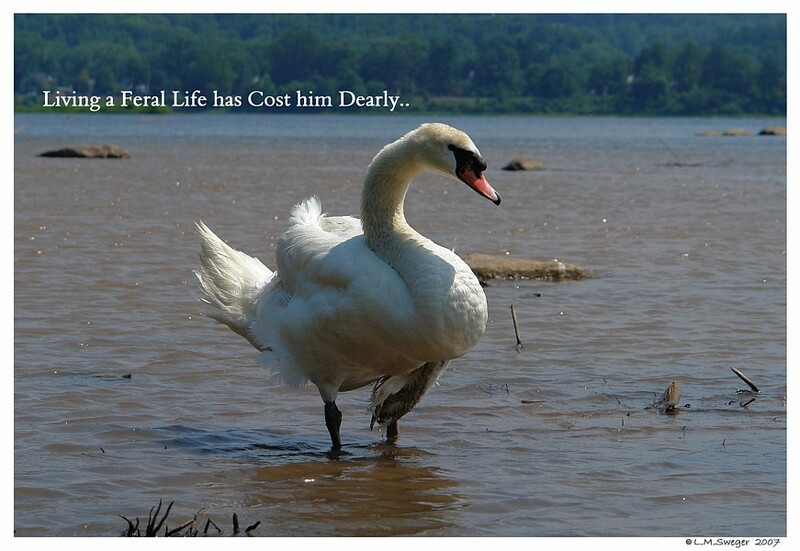 in the Euthanasia of Feral Mute Swans. 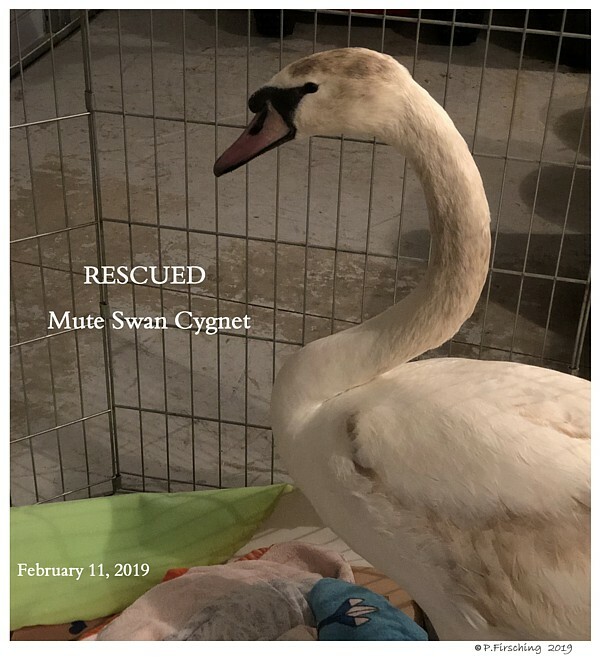 PAGC will not Rescue Wayward, ill or injured Mute Swans. Nor will they arrange for them to be placed in a New Home. 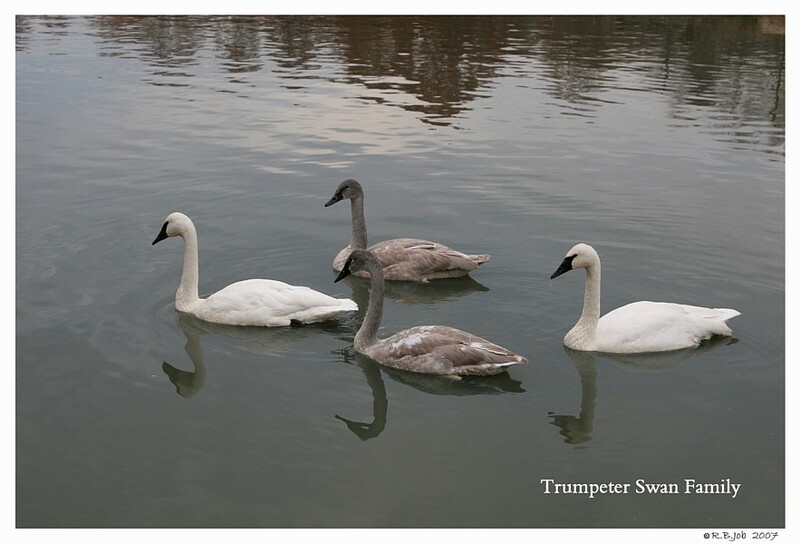 Information about Owning Trumpeter Swans. 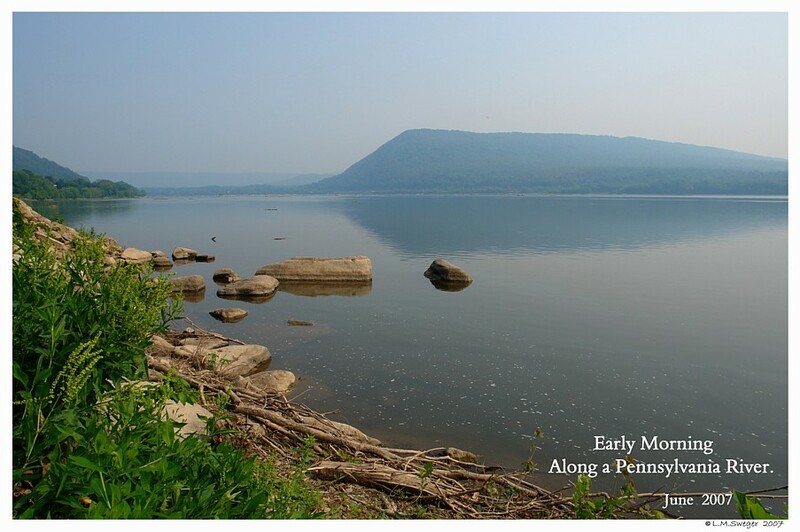 mid-west North America is a conservation success story attributed to coordinated captive breeding and reintroduction programs overseen by the U.S. 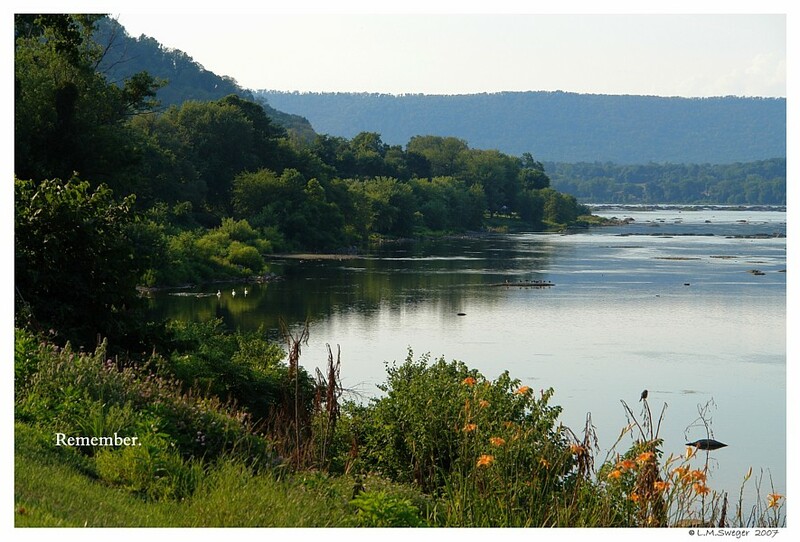 Fish and Wildlife Service and managed through State and Federal Wildlife Agencies. Please Contact me.. We will try to help.. if Possible. Lancaster County, PA Active in 2018. 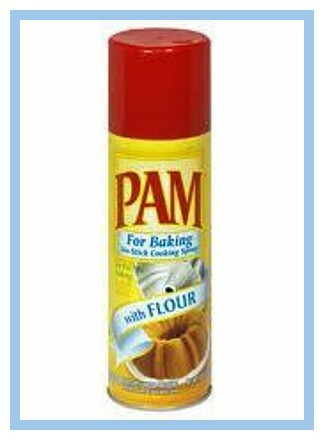 Below is Reference Material I have been using for Information. Doing an Internet Search may have more Current Information. are changing every year State by State. Information from the Waterfowl Management Specialist. In effect, they could be taken without a permit at any time, for any reason, by just about anyone. 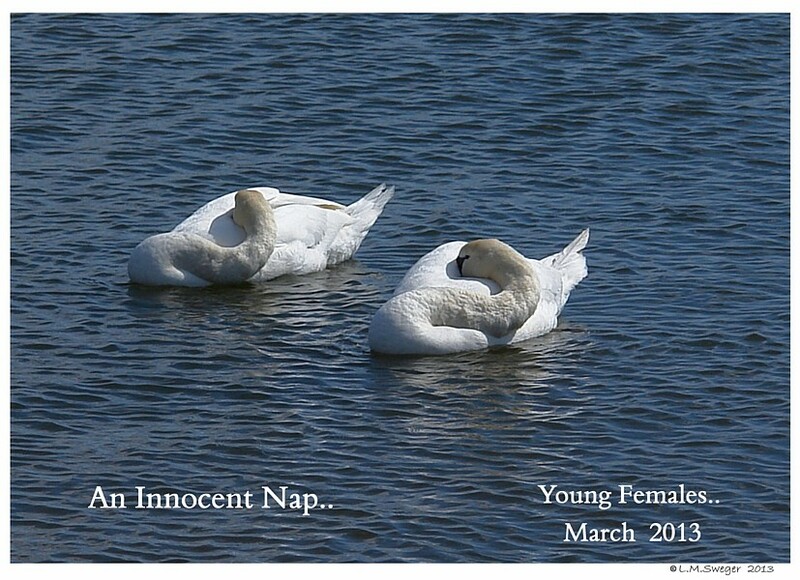 A Photography Posted Images of these Female Swans on the Internet. Two Days later Hunters with a Boat and Dogs arrived at this River Access and Shot them. 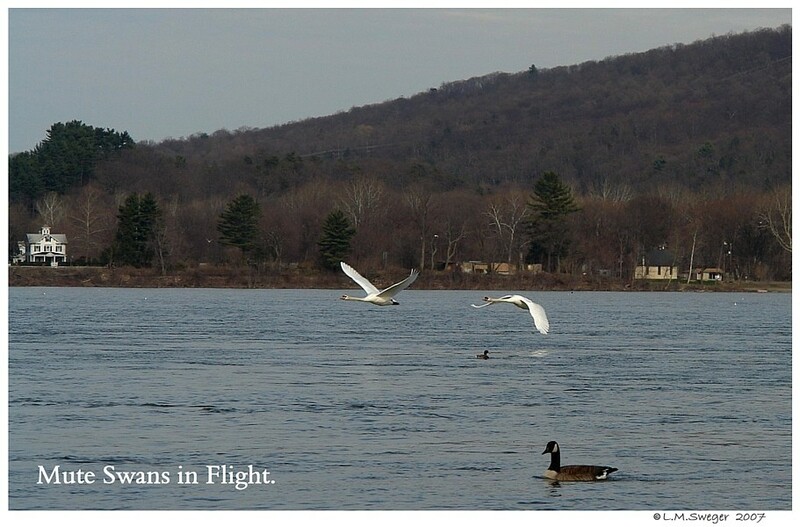 Pennsylvania allows Mute Swans to be shot by Hunters. 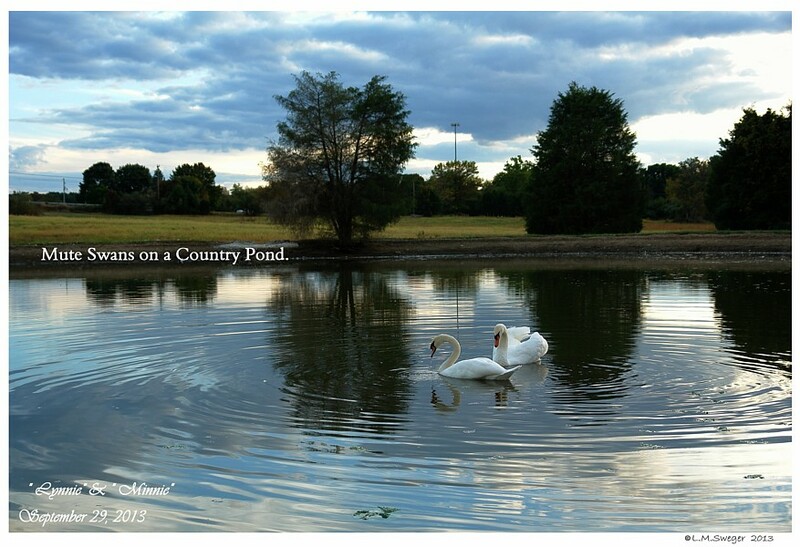 recommends that the Feral Swans be removed at any opportunity. 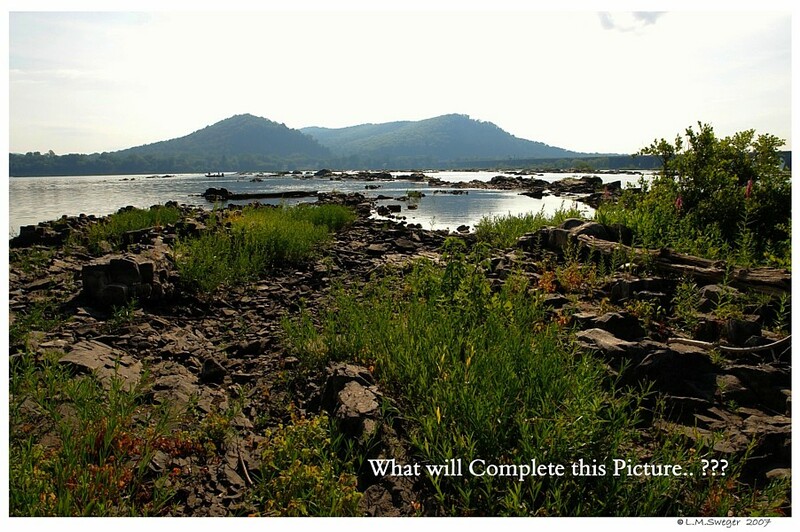 Public Lands or Water Ways. and a maximum of 250 in captivity. progress is being made toward achieving management plan goals. 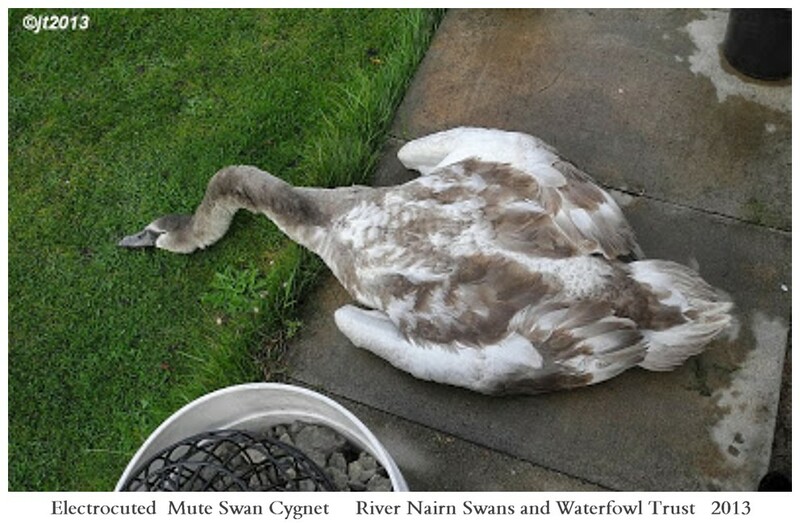 Two of the Above Mute Swans were Shot to Death. 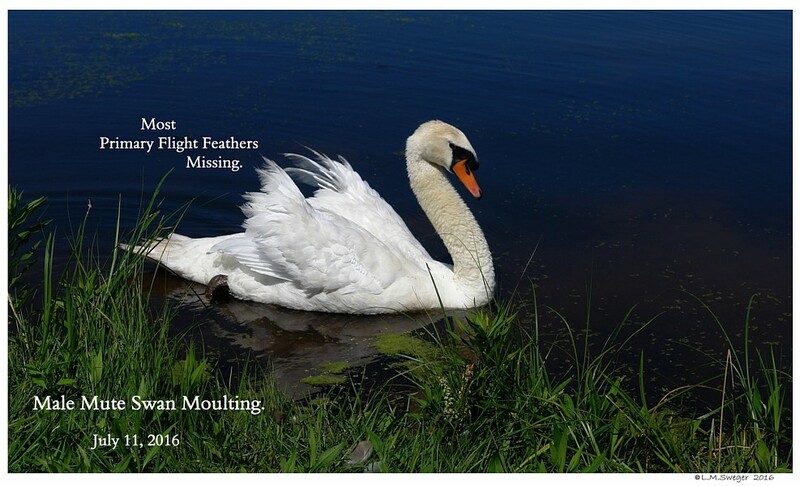 Atlantic Flyway States and Provinces conduct a Mid-Summer Mute Swan Survey (MSMSS) approximately every 3 years to monitor population trends of this exotic, invasive waterfowl species. 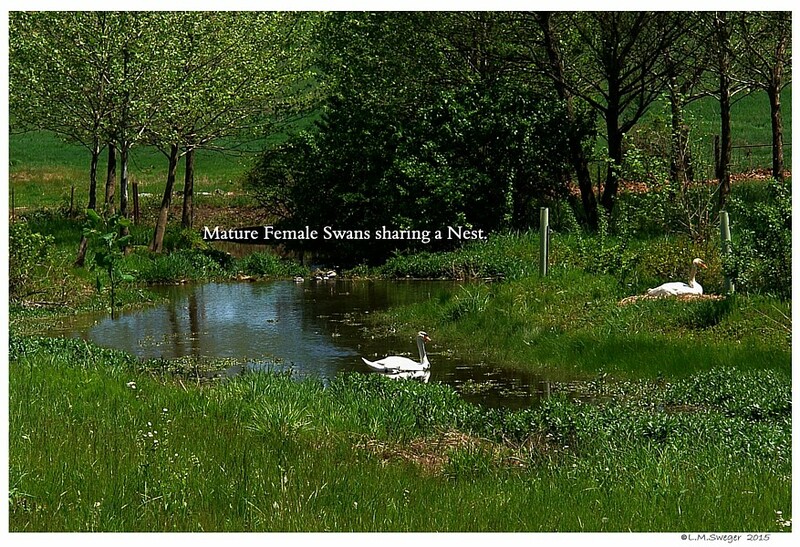 In Pennsylvania, the MSMSS consists of a compilation of mute swan observations by Wildlife Conservation Officers (WCOs) within their districts during the survey period, which usually has target dates in early August. 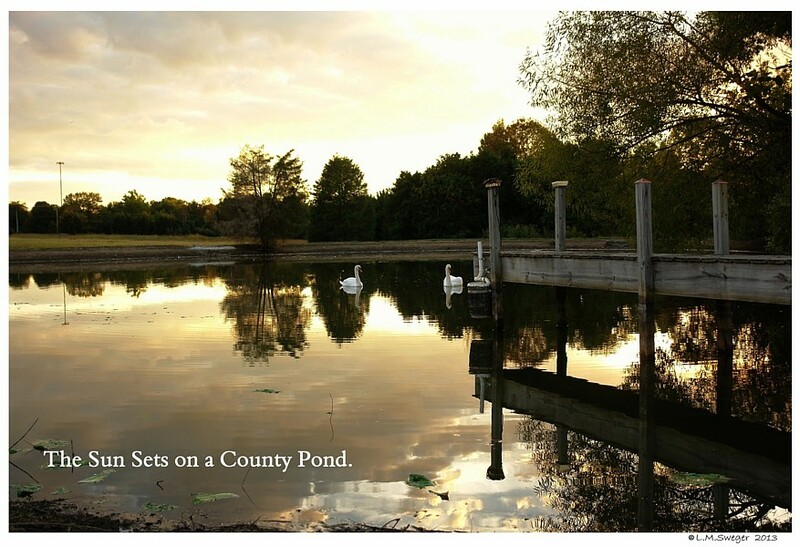 WCOs are requested to record any mute swans encountered during their routine travels, and if possible to specifically check locations where mute swans have been observed or reported in the past. 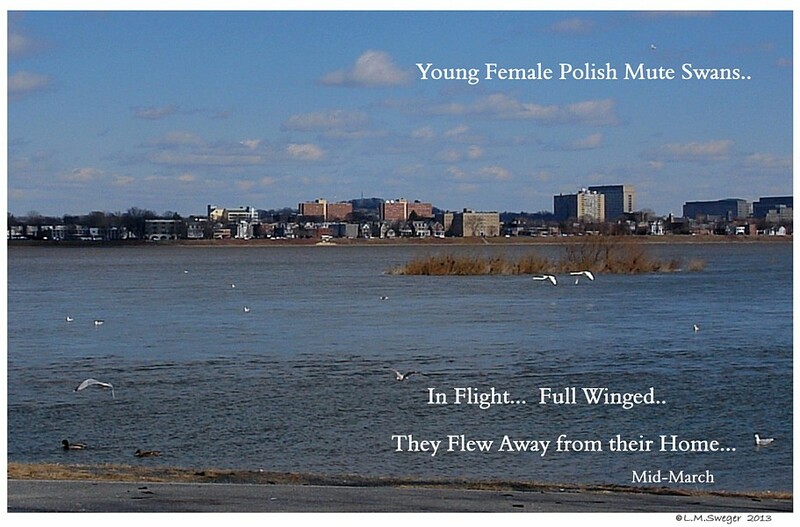 obstacles by the Migratory Bird Treaty Reform Act of 2004. 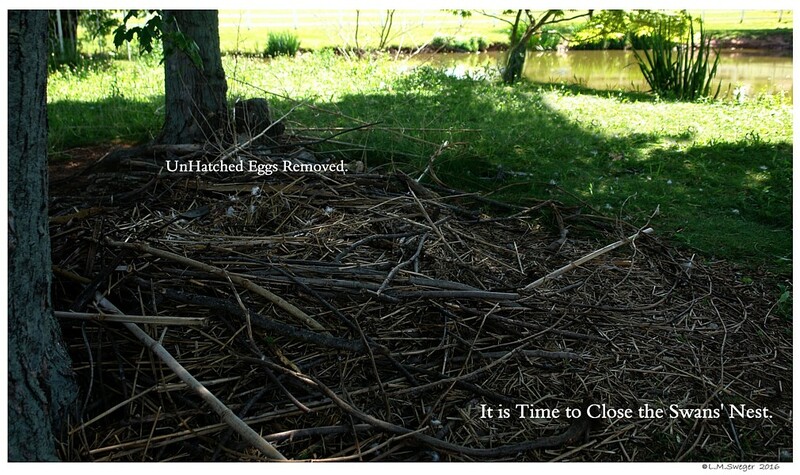 Work does, however, remain to be done to adequately address the negative impacts of this invasive species. 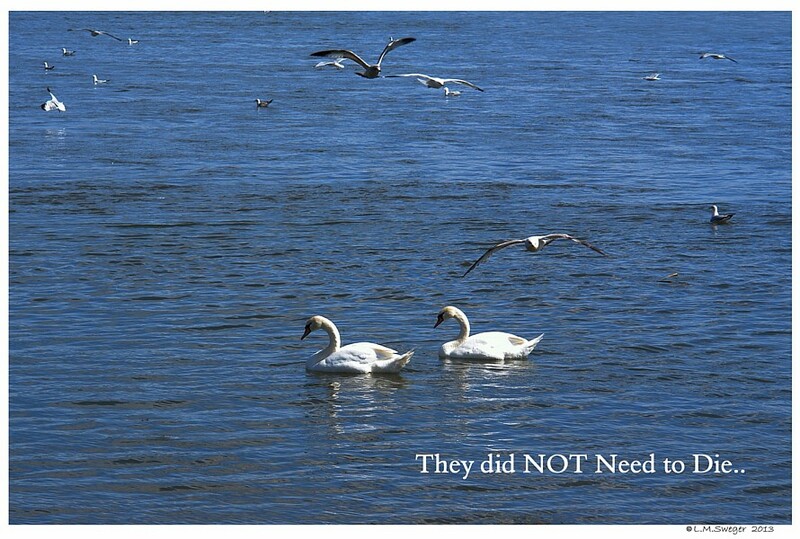 Population monitoring, control efforts, guidelines and regulations for keeping Captive Mute Swans, and public education will all need to be continued or improved to further reduce the number of feral Mute Swans and keep in check the still-sizable population of domestic Mute Swans, which remains capable of causing nuisance and ecological problems while serving as a potential source for future increases in the free-ranging population. 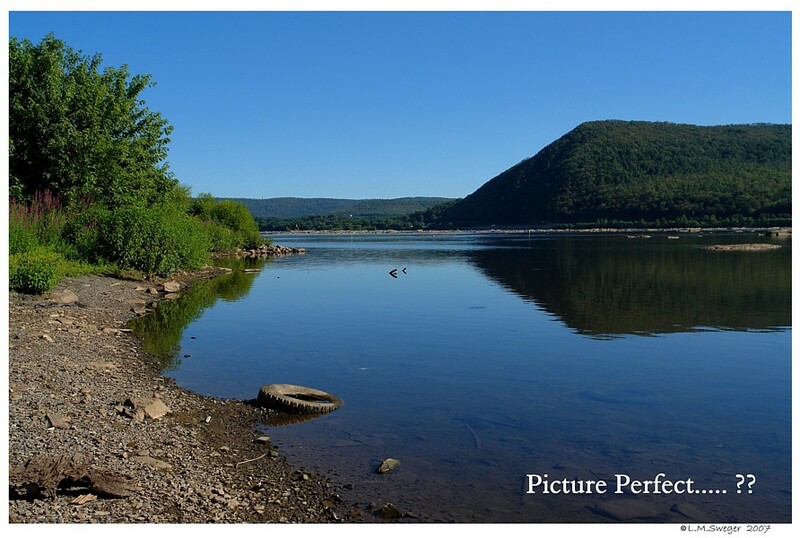 The Pennsylvania portion of the 2011 (AF) Atlantic Flyway MSMSS was conducted by (WCO) Wildlife Conservation Officers statewide from mid-July through late August, with the majority of surveys completed during the target dates of 1-14 August. 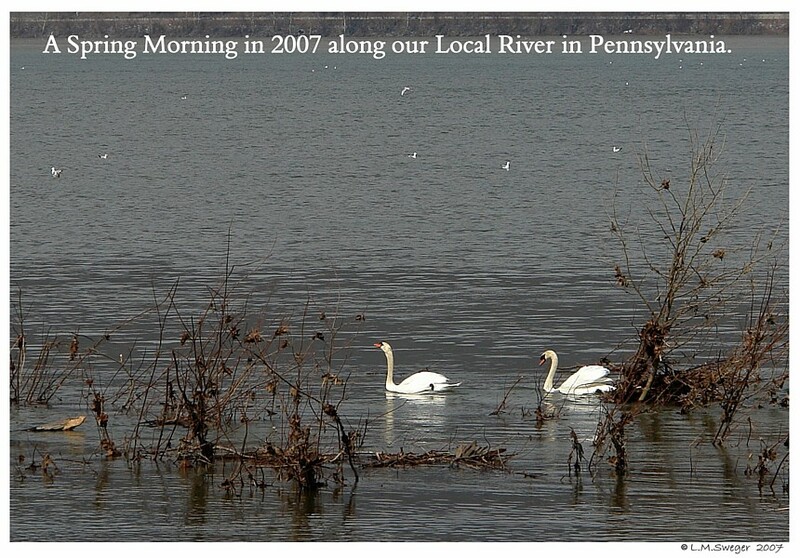 During the 2011 survey, 167 Mute Swans were observed in Pennsylvania. This was 41% below the total from the 2008 survey and 52% below the peak (2002) total for this survey. 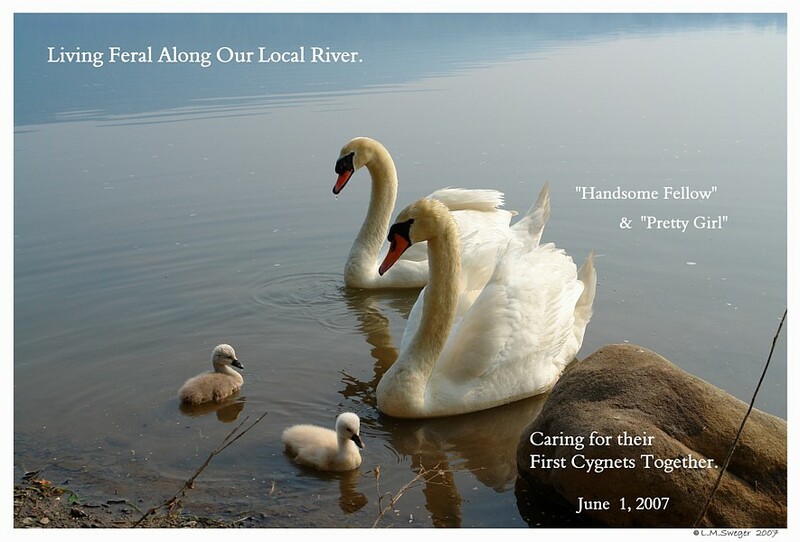 The numbers of Broods (10) and Cygnets (17) observed both decreased from 2008, and both totals were the lowest since 1993. 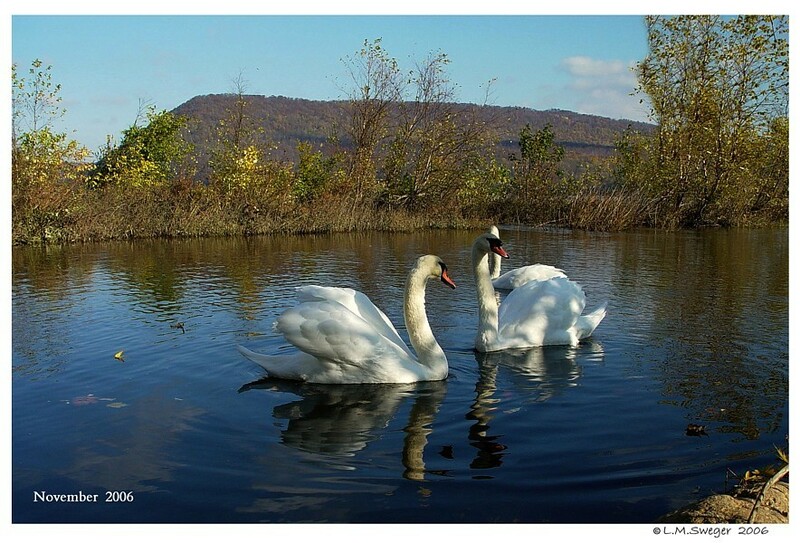 The number of Mute Swans classified as Feral declined to 45 (15% fewer than the 2008 survey and the lowest on record for this survey in Pennsylvania). 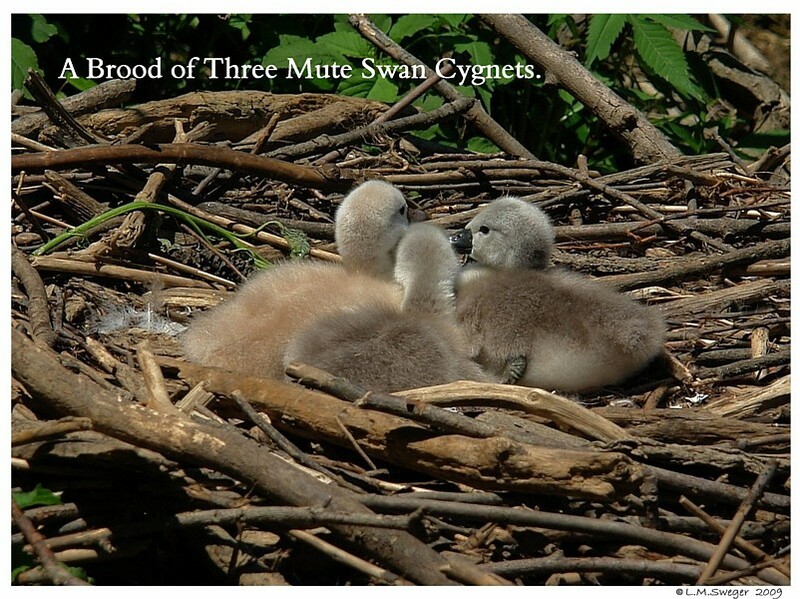 Feral Mute Swans are also accounting for a declining percentage of observed Broods (10% in 2011, compared to 13% in 2008, 26% in 2005, and 38% in 2002). 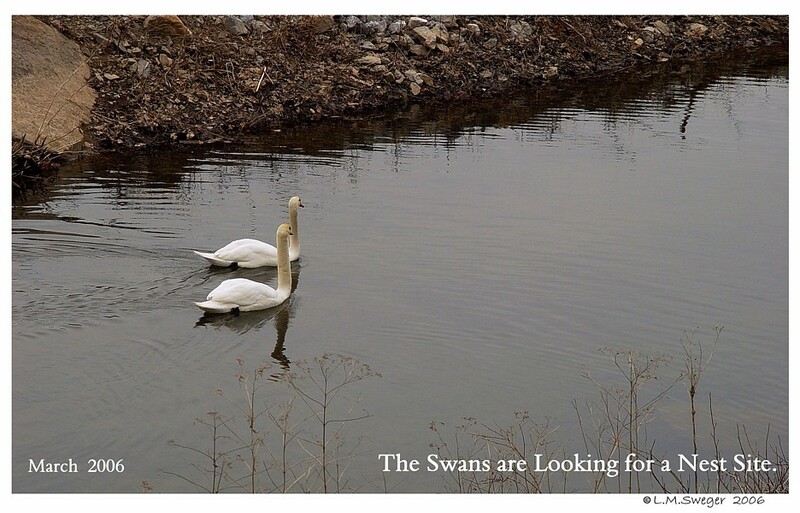 The 2011 survey also documented a continued range contraction in the state, with the 30 WCO districts where Mute Swans were observed being the lowest total since 1999. 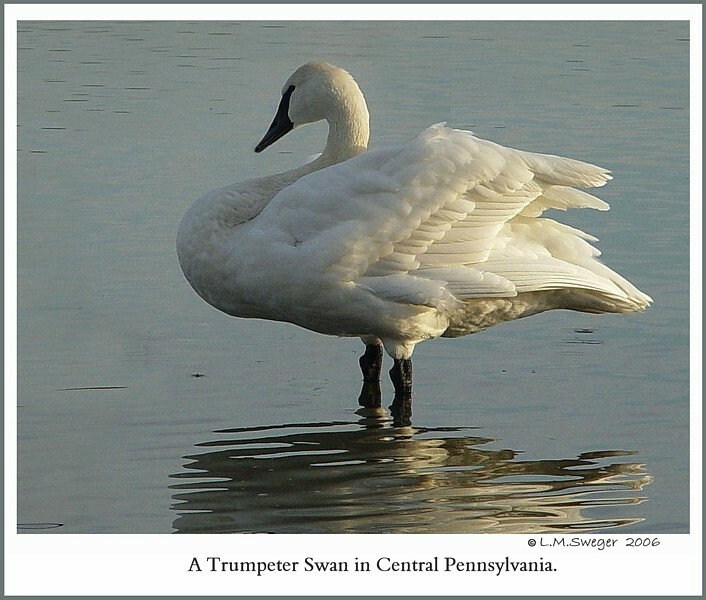 Mute Swan numbers continue to be highest in southeastern Pennsylvania (94). 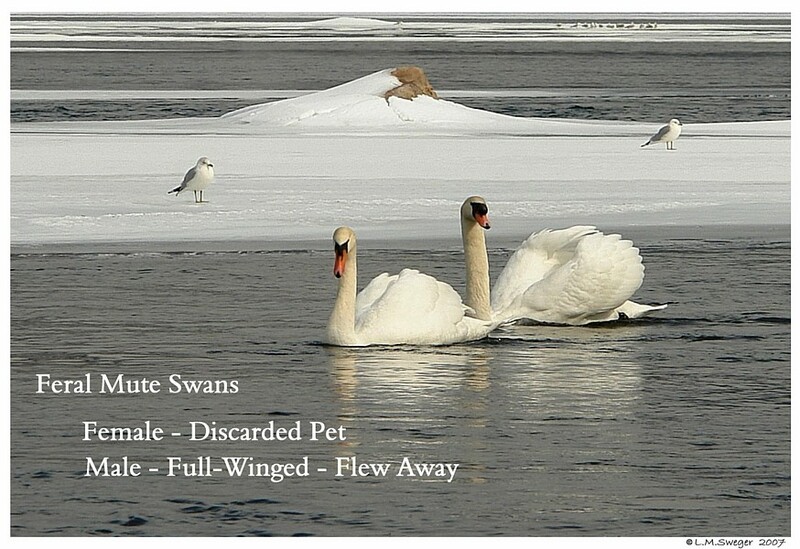 For the entire AF, 9,202 Mute Swans (13% below the 2008 total) were observed (Table 1). 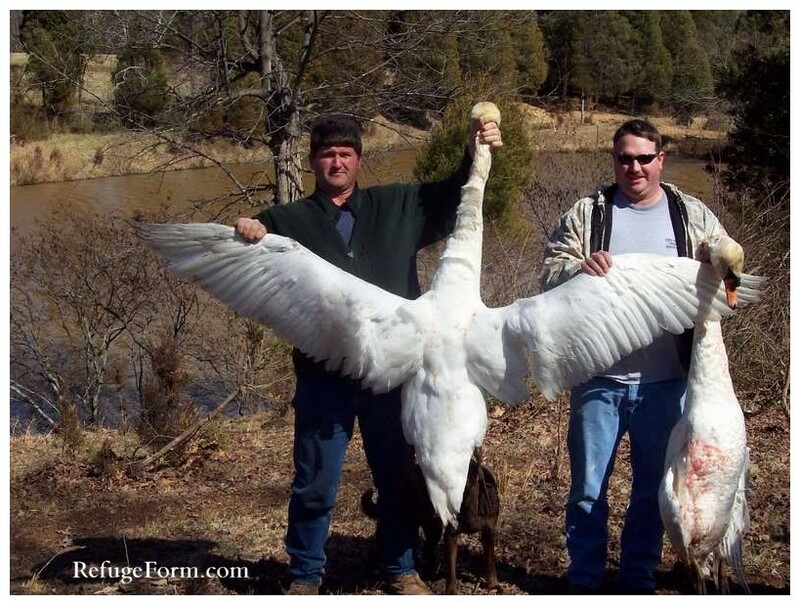 Hunters from other States were coming to Pennsylvania to Shot Feral Mute Swans. Information allowing this was/is listed in their Hunting Guides. 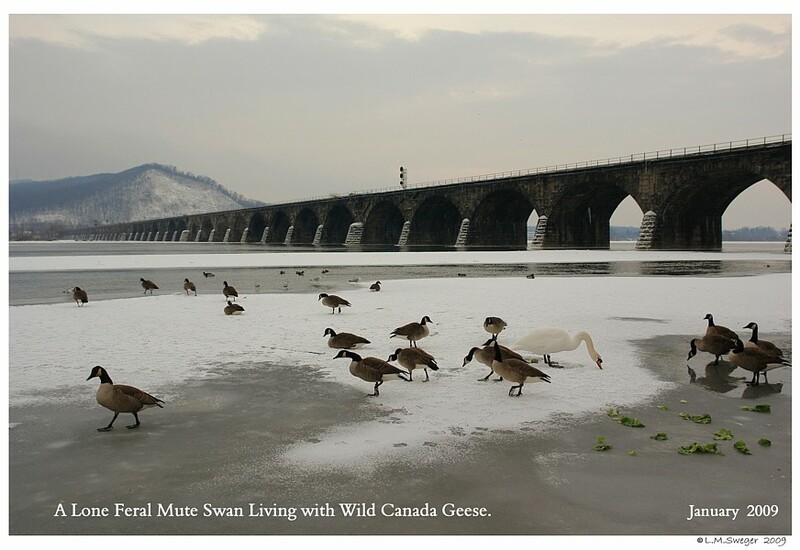 As in Pennsylvania, flyway-level Mute Swan numbers trended upward from survey inception in 1986 to a peak in the 2002 MSMSS, but have decreased since then. 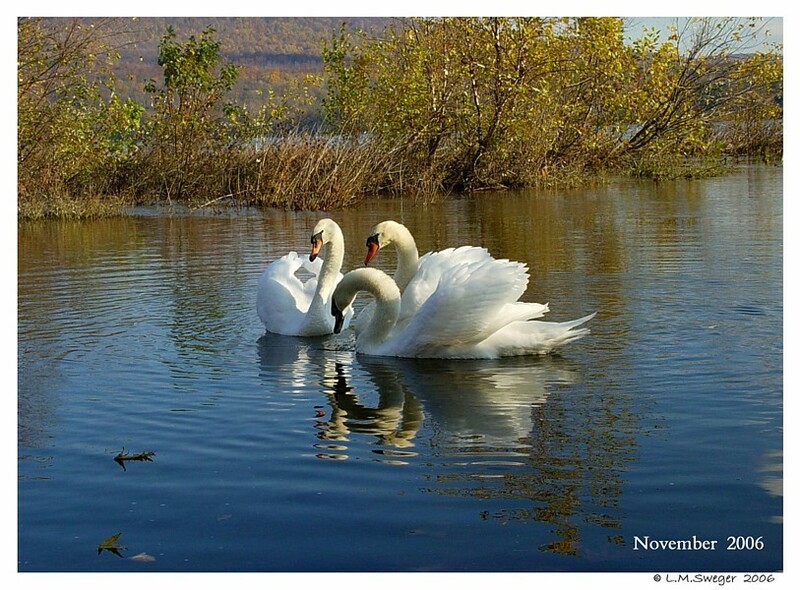 Declining trends are due mainly to active control efforts throughout the flyway (aided by the removal of legal obstacles by the Migratory Bird Treaty Reform Act of 2004); these efforts will continue as managers seek to reduce Mute Swan populations to levels identified in the AF Mute Swan Management Plan: <3,000 flyway-wide, zero feral/maximum 250 captive in Pennsylvania. 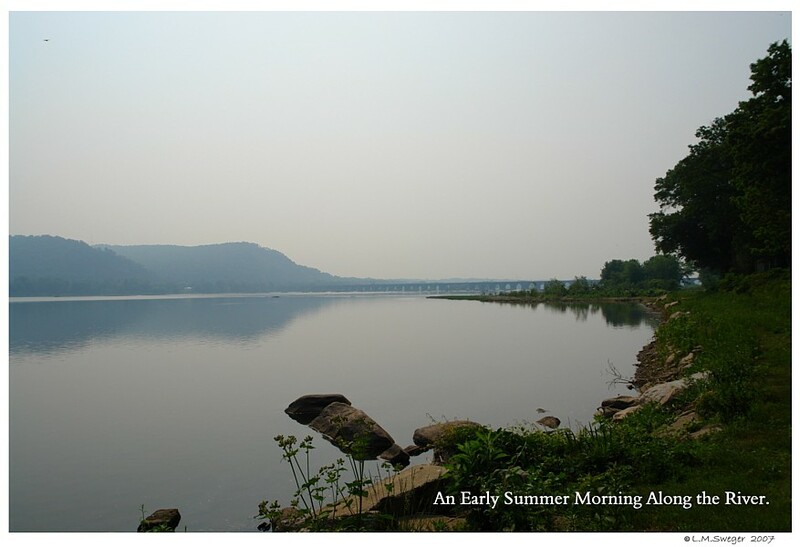 2002, the first decrease observed since initiation of the survey. 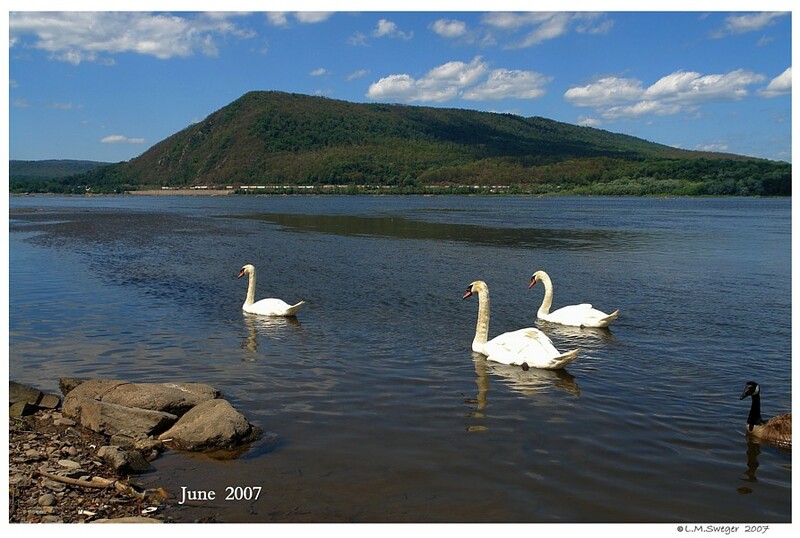 A summary of the 2008 Mute Swan survey results for the entire flyway, which will show whether the flyway as a whole continues to mirror Pennsylvania’s progress toward management plan goals. where Hunting is not Allowed. 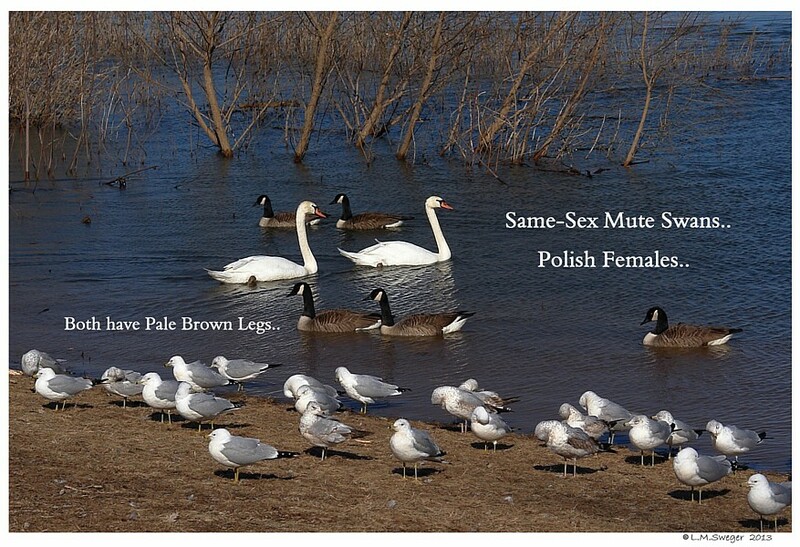 Consequently, management of Mute Swans was the responsibility of individual states. 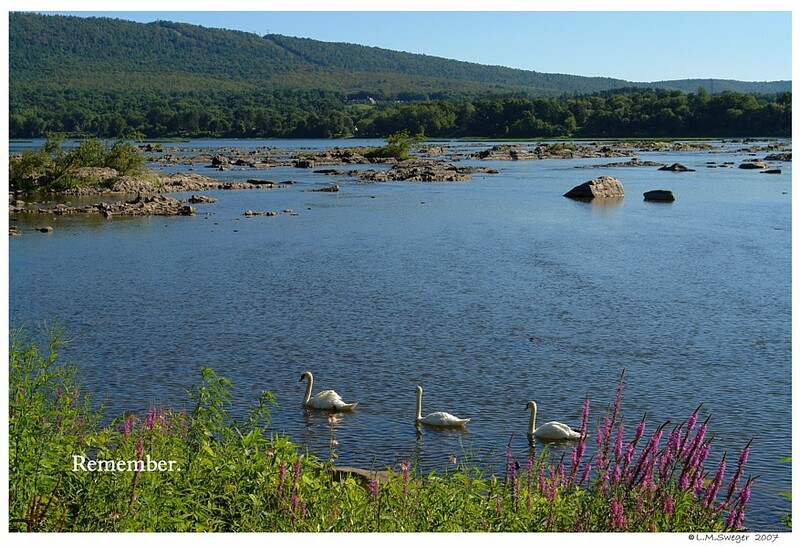 In Pennsylvania, although there was no formal Mute Swan eradication program, Mute Swans that turned up on public lands were often destroyed, and state law followed the MBTA in classifying them as unprotected. In effect, they could be taken without a permit at any time, for any reason, by just about anyone. 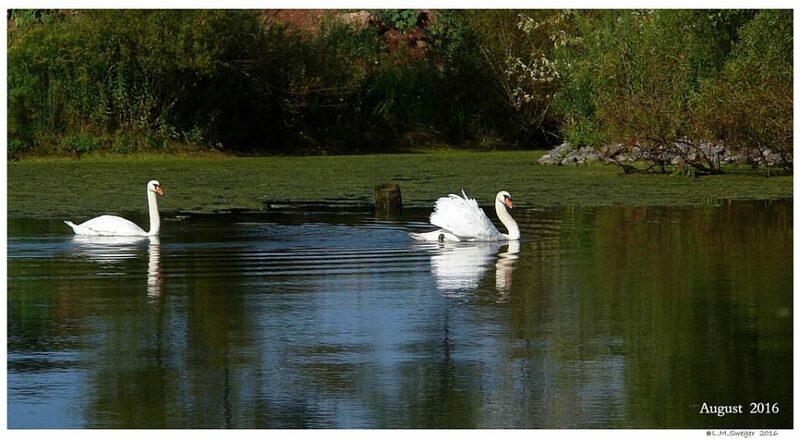 It’s likely that this approach was responsible for keeping our feral Mute Swan population from growing as rapidly as in states where Mute Swans were protected under state law and/or not consistently removed from public lands. In December 2001, however, in response to a lawsuit, a federal court ruled that the U.S. 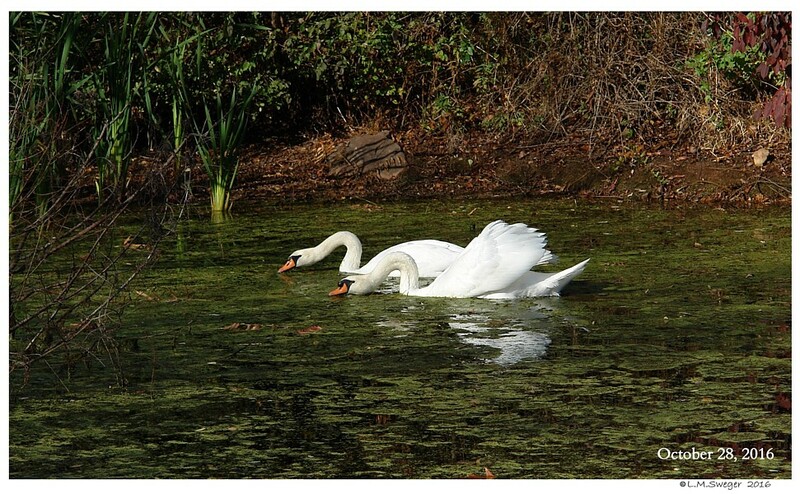 Fish and Wildlife Service could not exclude Mute Swans from MBTA protection. 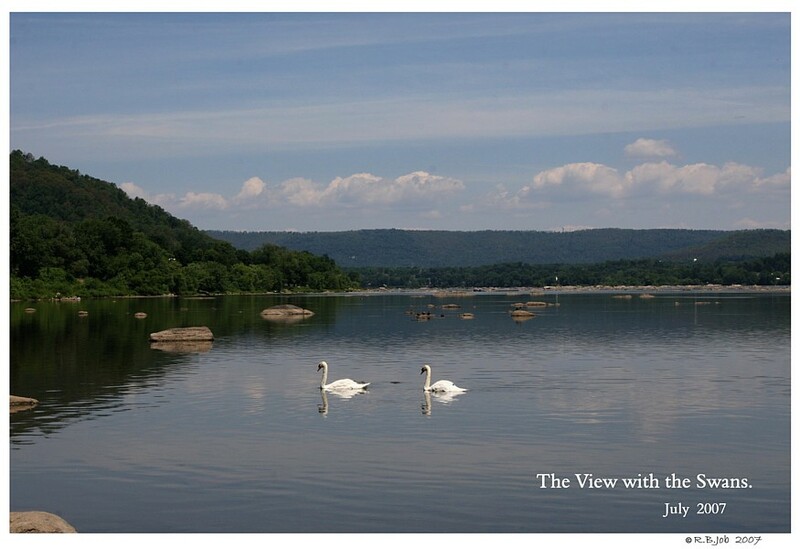 This placed Mute Swans in the same protected category as native waterfowl, and in effect meant that control measures, including those used in Pennsylvania, had to be put on hold or stopped. control activities were a major cause for concern. 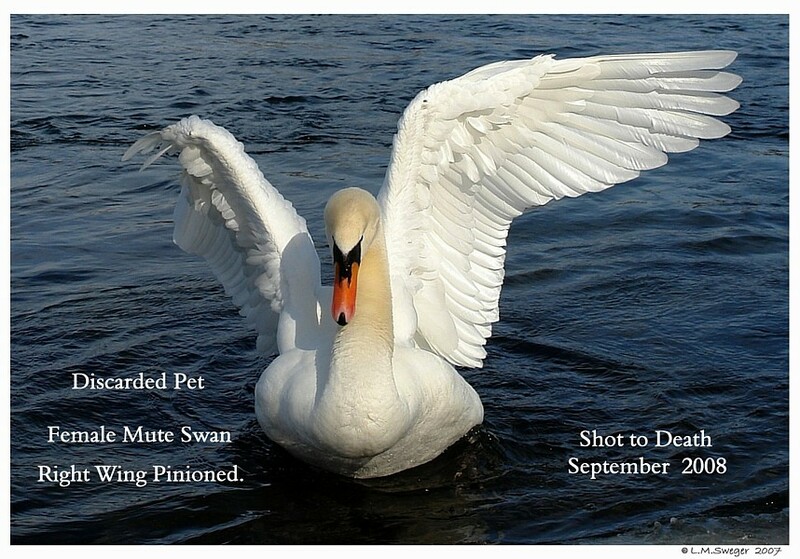 Atlantic Flyway Mute Swan Management Plan. 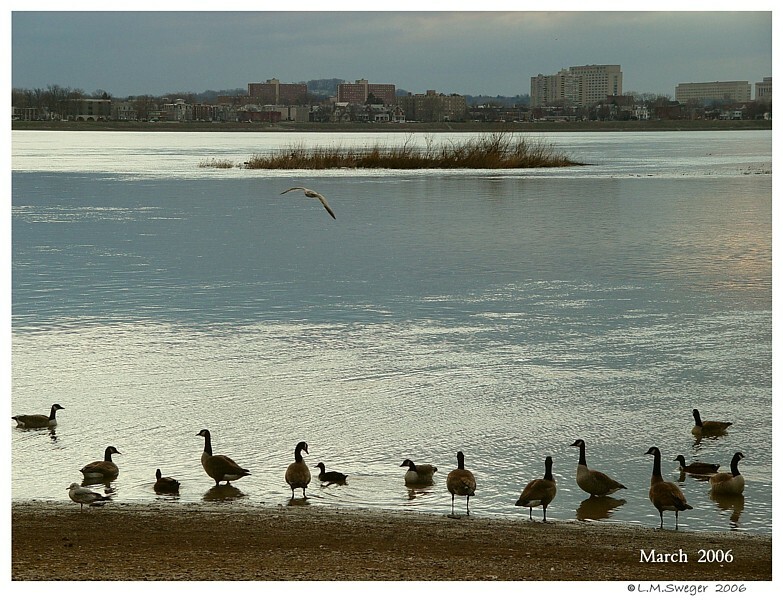 This plan established Mute Swan population goals for the flyway, along with strategies to begin reducing populations to those levels within the parameters of the MBTA. 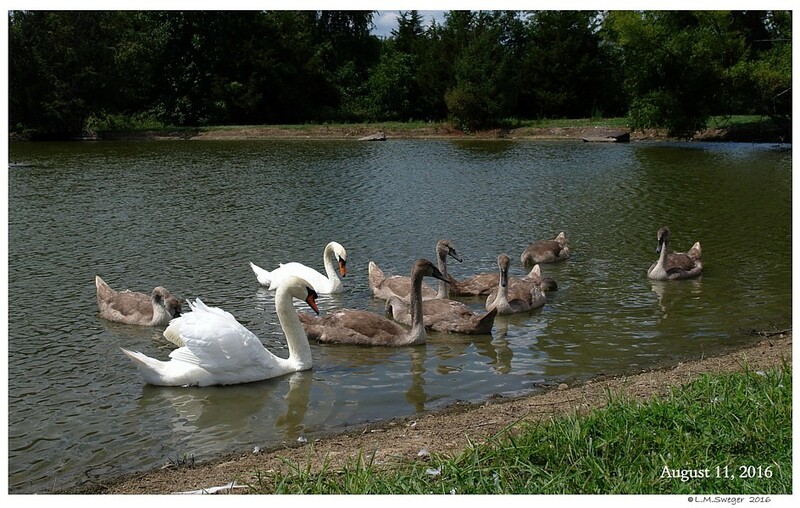 As part of this plan, the PAGC established a Pennsylvania population goal of zero feral, free-ranging Swans and a maximum population of 250 legally-permitted Swans held in captivity. 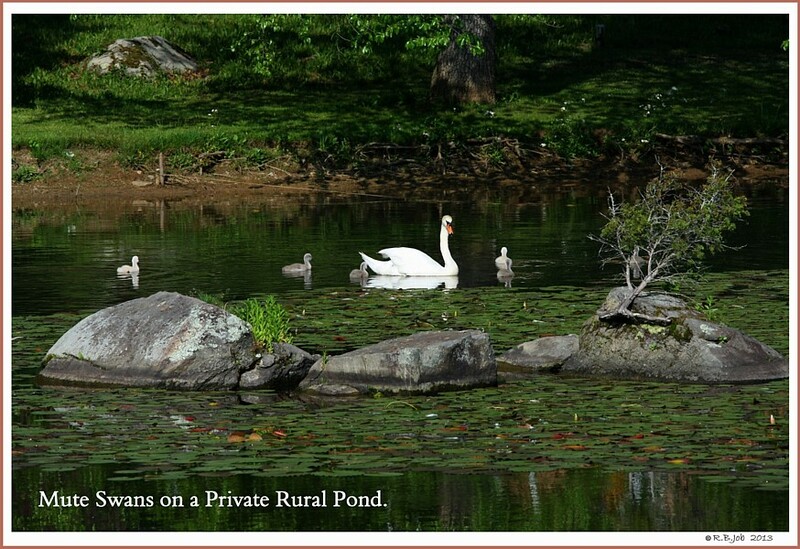 lands and from private lands with landowner permission. 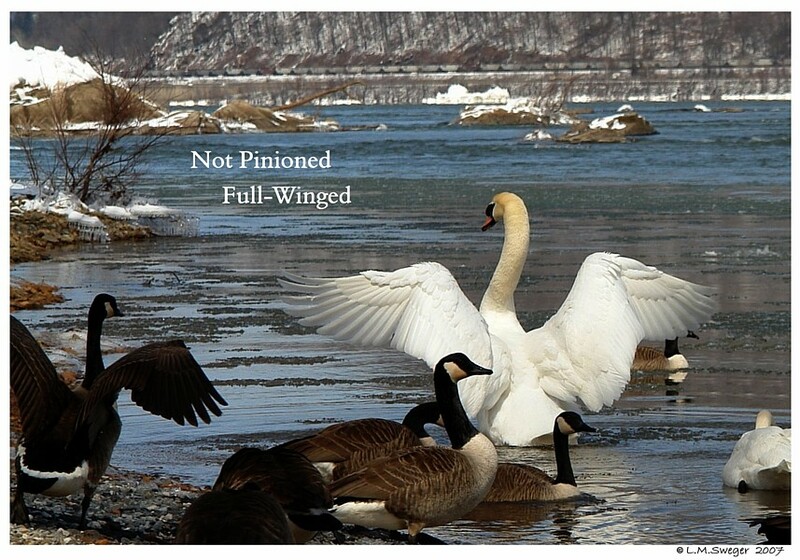 However, attempts by the USFWS to issue Mute Swan depredation permits were obstructed by further lawsuits. 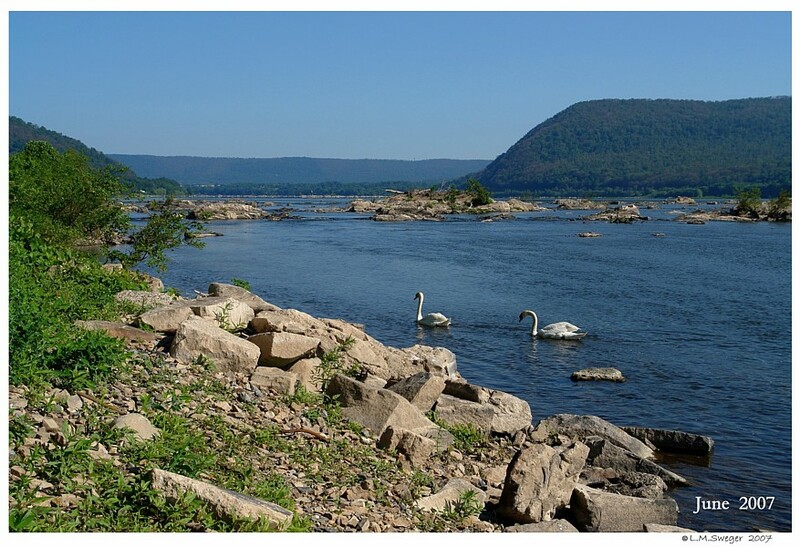 The lack of depredation permits severely hampered the ability of wildlife managers in Pennsylvania and elsewhere to maintain Mute Swan populations at or below the levels specified in the management plan. 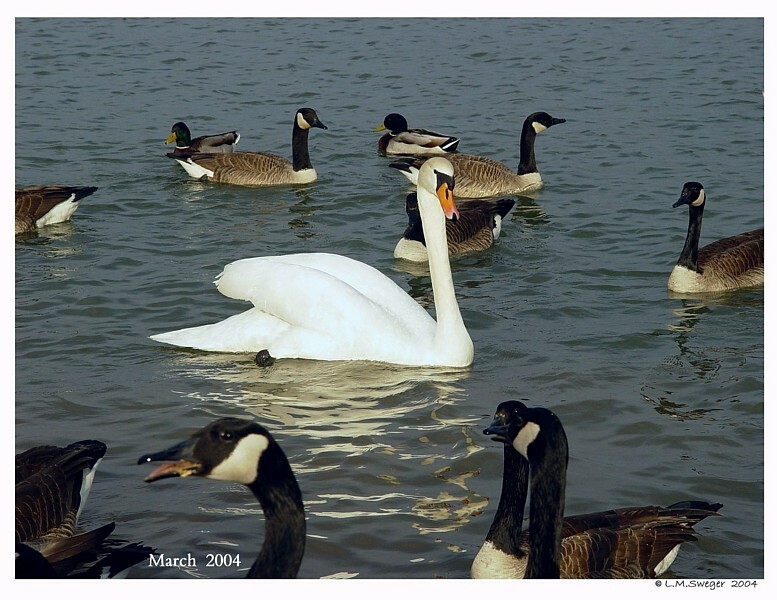 Fortunately, legislation clarifying that the MBTA does not, and was never intended to, apply to non-native species such as the Mute Swan was passed by the U.S. Congress and signed by President George Bush in November, 2004. 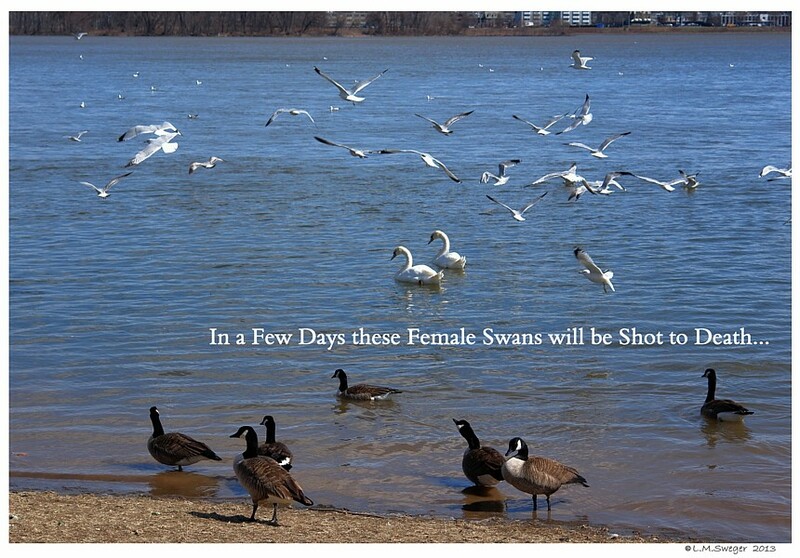 In effect, this action has returned management authority for Mute Swans to the states, as was the case prior to 2001. 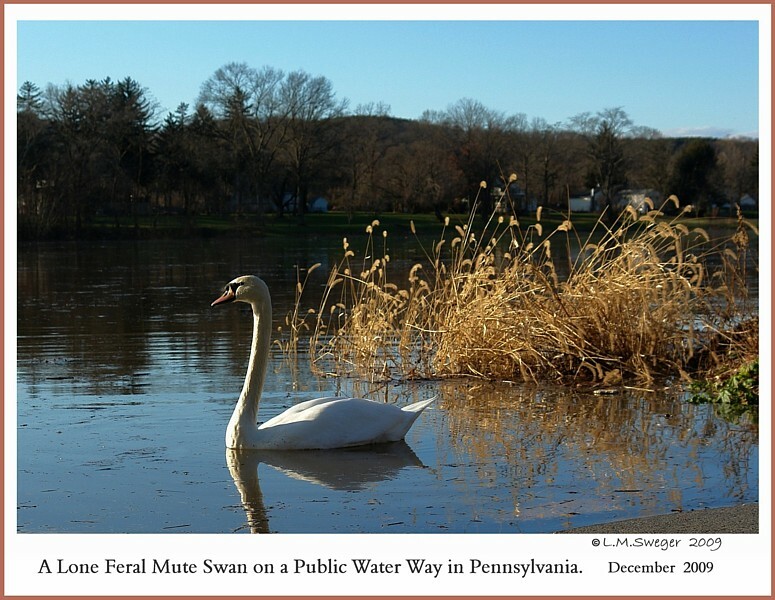 This change should make it much easier to keep Pennsylvania’s Mute Swan population under control; of particular benefit is the ability to resume Euthanasia of Feral Mute Swans where appropriate. 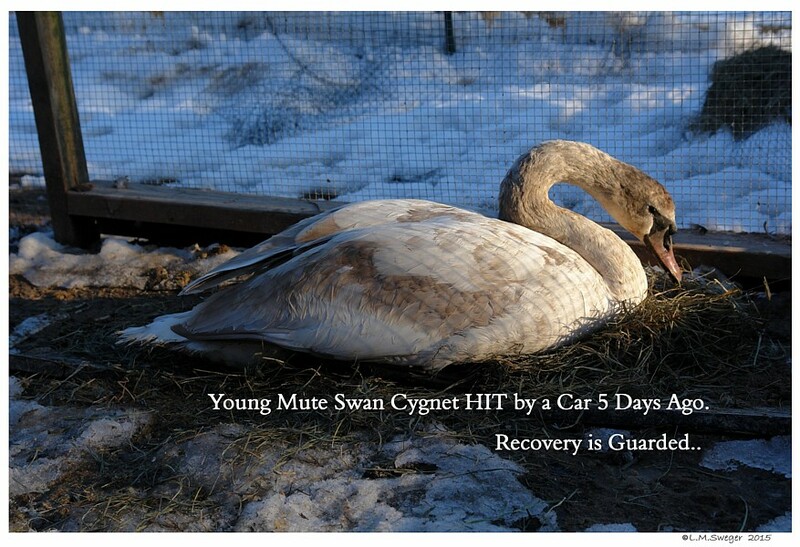 Other management tools may also prove useful in reducing the threat posed by Mute Swans. 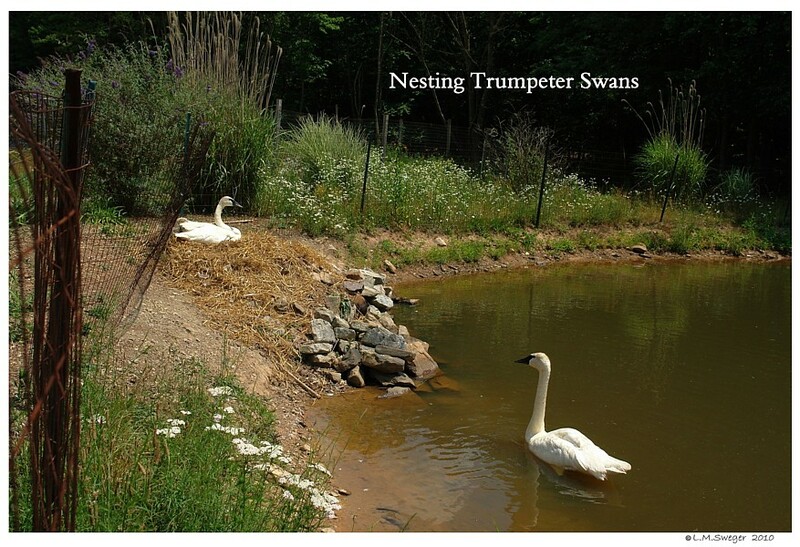 removal of adult Mute Swans, but it has been used with some success on Mute Swan nests in Maryland, and may be appropriate for some situations in Pennsylvania. 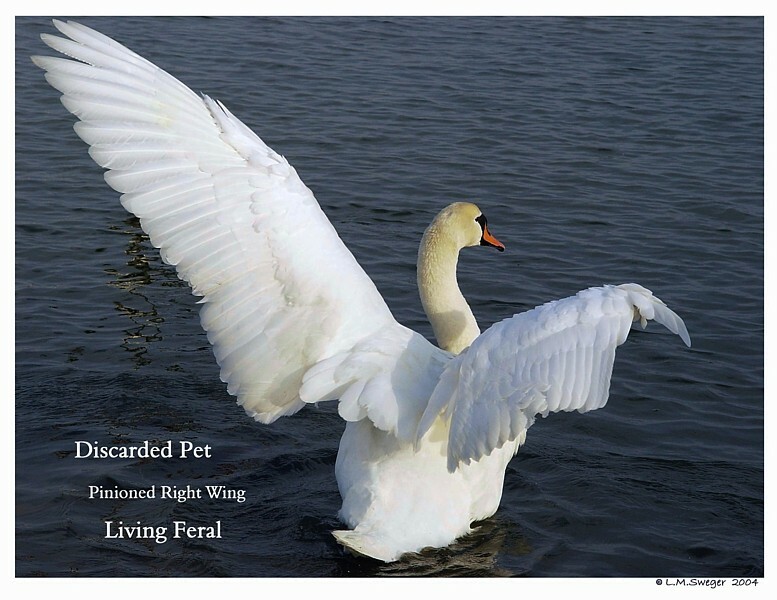 Another useful option might be the adoption of regulations to strictly regulate the possession of Captive Mute Swans to ensure they do not cause major conflicts or serve as a source of new feral populations. 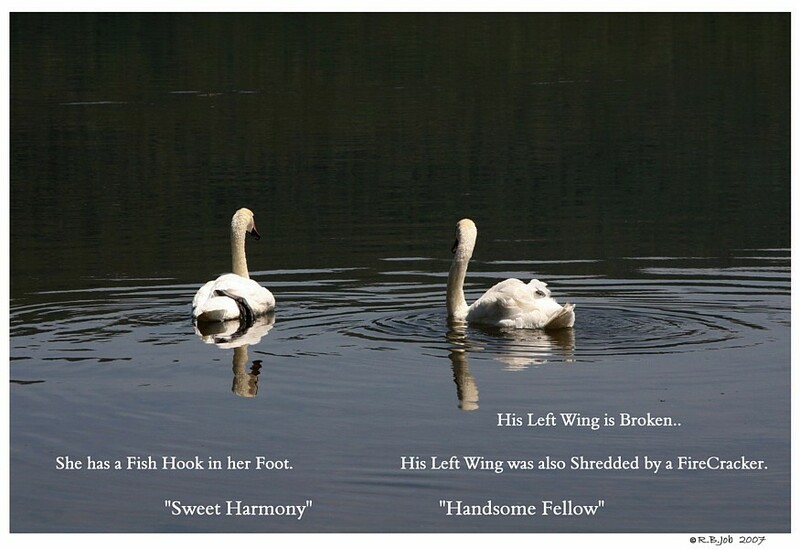 Regardless of the exact control methods ultimately adopted, it is very important to change public perception that Mute Swans are a wonderful addition to our outdoors. 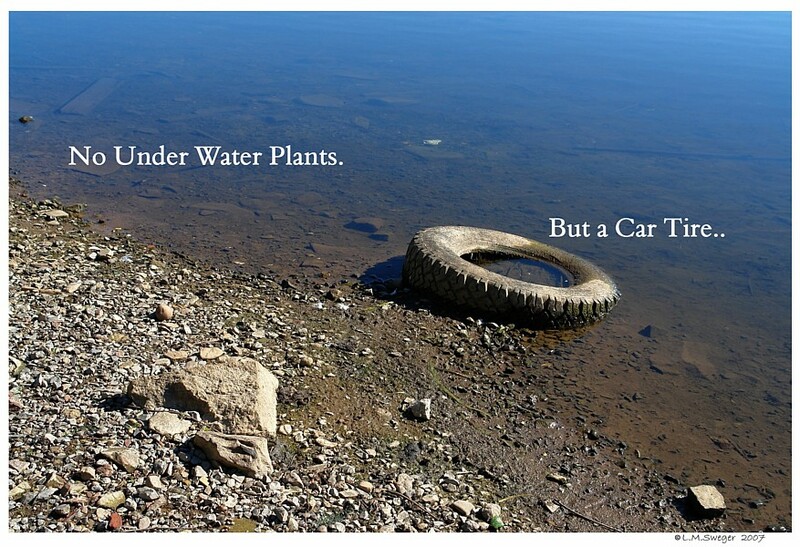 and beginning to over use aquatic food sources. 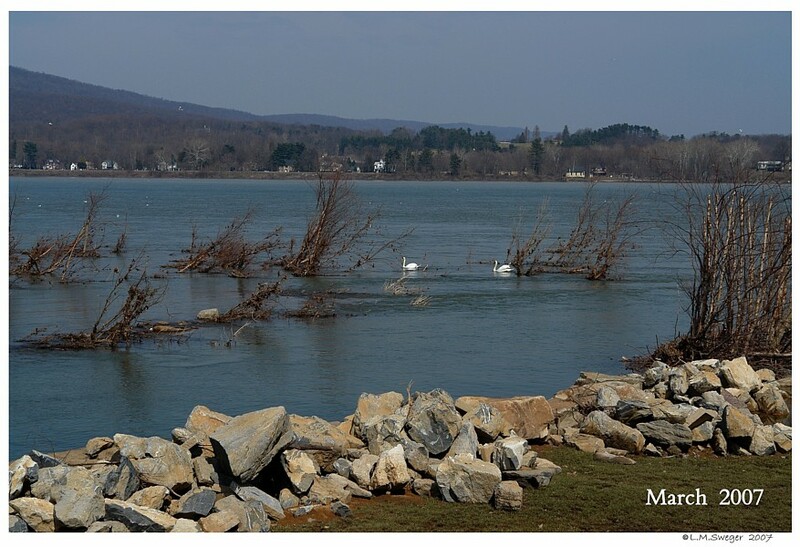 Without our intervention now, while Pennsylvania’s Mute Swan population is still at a relatively manageable level, the problems Mute Swans cause for waterfowl and other wetland species will worsen, and addressing these problems will only become more difficult and expensive. 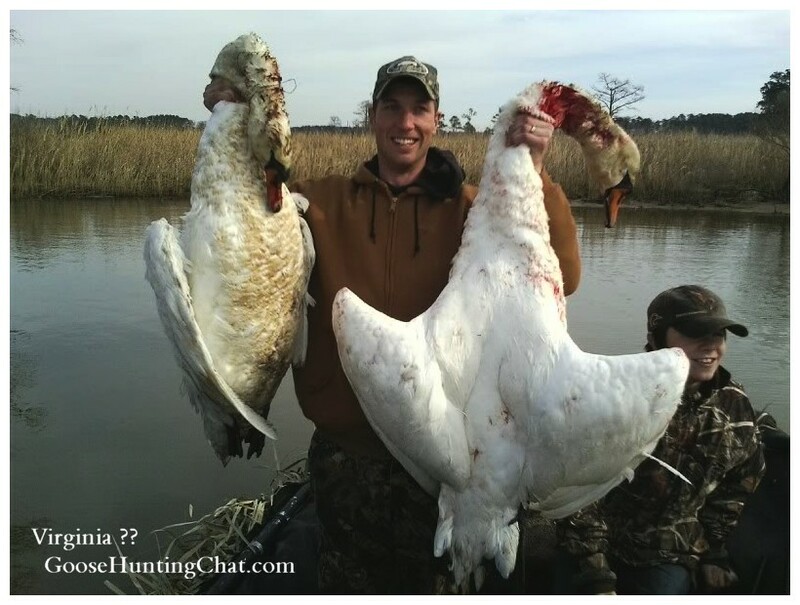 hunters, Delaware aggressively removed the birds from state lands. 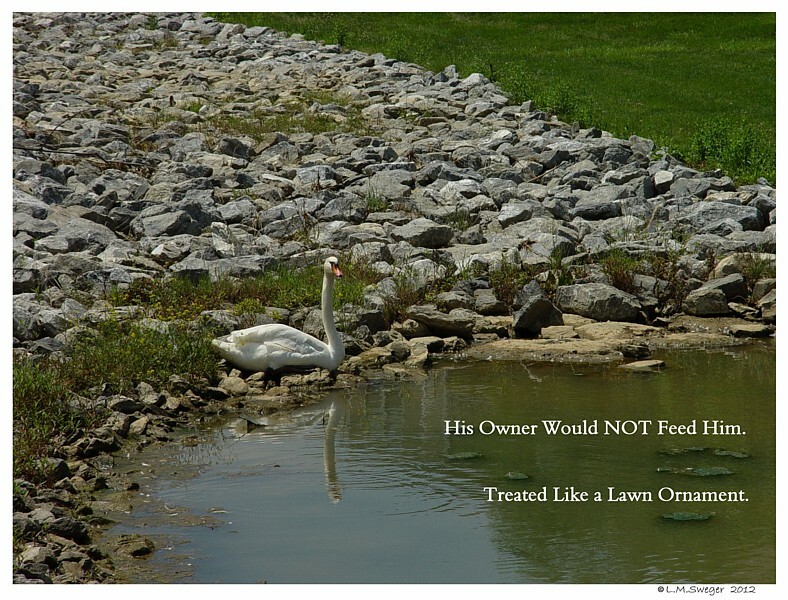 This Swan was Neglected by his Owners. He finally walked away. Luckily he was Rescued and Rehomed. 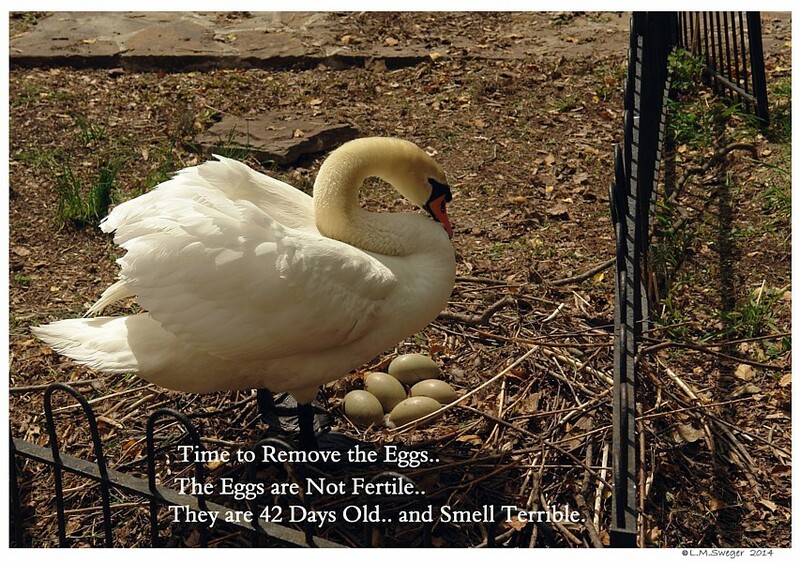 Captive Swans Need to be Cared for as Domestic Pets. They NEED Proper Adequate Food and Reasonable Living Conditions.